I always wondered how one did justice in explaining a Guru’s grace and today whilst meditating, I was reminded of this recent event and I thought it explained it as best I could. 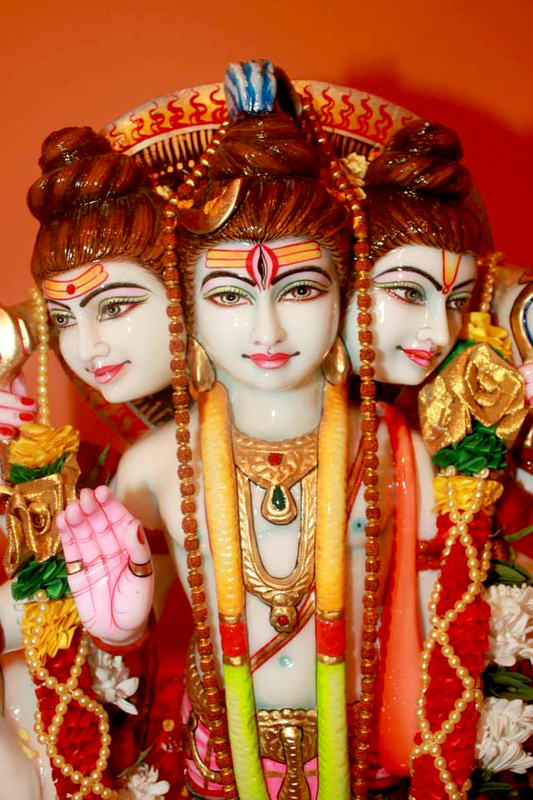 Lord Muruga is our family deity and I knew only of Him as God while growing up. My fast and Viratham for Thaipoosam Kavady 2015 continued after my Swaami Ayyappan Viratham. On 27 January I sent Guruji a random message saying I am thinking of him and he immediately responded saying he knows, and he listens to me. On 31 January 2015, I posted this picture. I was away from home and missing out on all the celebrations and Pujas at temple. 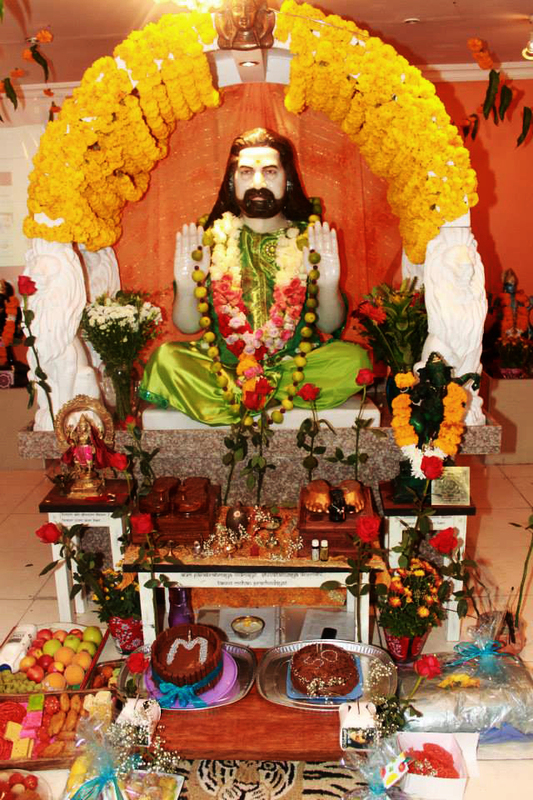 I conducted my puja as best I could and did indeed feel Guru Mohanji and Muruga’s presence. 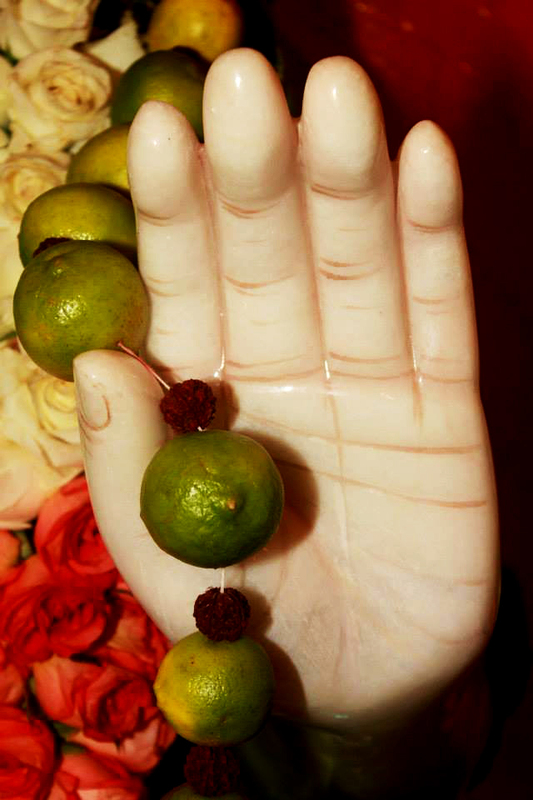 They do after all respond to all devotee’s calls. On 5 February I went home and everyone was in such high spirits from the Kavady that was held in the week. We got to talking and I (true to human nature) began complaining about not being around for the Kavady held within that week and not having had the opportunity to carry a Kavady in many years. I had forgotten that Guruji said he is listening to me. 7 February was the public Kavady and my family and I attended. The procession entered the temple grounds and only those who carried Kavady were allowed inside the temple so my daughter and I stood around observing and drinking in the vibrations. My husband was assisting inside the cordoned off area. After a long time, after the crowd had thinned out quite a bit, my husband called my daughter and I to the spot just outside the temple doors where he was assisting. We reached there and stood for a few minutes before a temple official called my husband inside the temple to offer milk to Muruga and he called me to join him!!!!!! My daughter and I hurried after them and all the while I could not believe what was happening!!!!! We did not carry Kavady but, my wish to offer milk to Lord Muruga was being granted through my husband. I rushed to stand by his side and touch his shoulder as he offered the milk into the vessel that contained the other devotees’ milk. This milk was then drawn into pipes that went straight to the Murthi and offered as a constant shower of milk over Muruga and His consorts. What an electric feeling and what an honor to be there witnessing this. The temple official saw me touching my husband’s shoulder and being so engrossed in the offering. To my absolute joy and delight, after my husband was done with his offering the official offered me a litre of milk and asked me to offer this as well. I thought I was going to float!!!! I instantly said the names of all those I could think of that needed blessings and offered the milk. THIS is a Guru’s grace….NOW can explain it!!!! When you think and want something so bad and you never voice this to anyone else, but you voice it to your Guru in your prayers and it manifests in the simplest but most profound way. It seems like something random to the outsider but only you understand it’s significance. Picture posted on January 31st. I know mine is a long story but, it ends soon, haha! 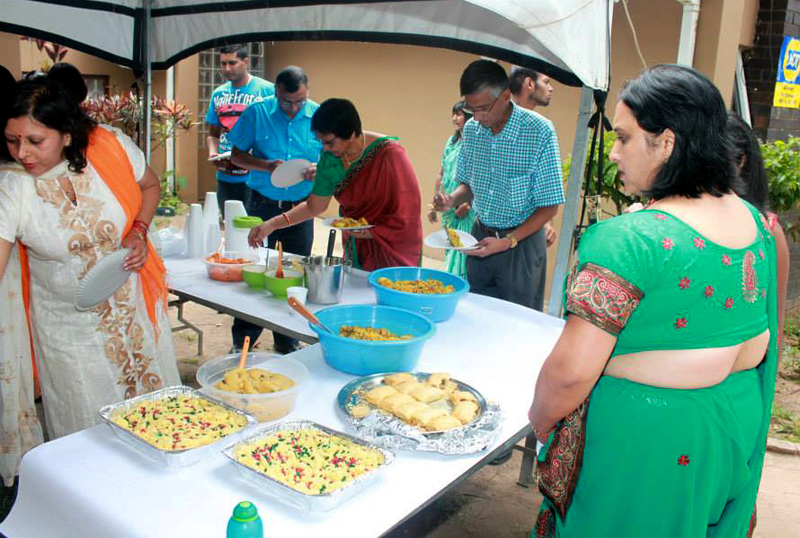 The final indicator that the day was indeed blessed and we were watched by divine entities, was when we went to eat some prasadam at the feeding area. My husband, daughter and I had some prasadam and because the area was so full, we stood to one side near an embankment and had our meals. As we finished, my daughter says very calmly, “Oh, look!!! A snake!!! !” We all looked, and there coiled around the tent’s peg, nestled safely on the embankment was a beautiful snake. Bothering nobody, just coiled there blessing the entire Puja and devotees. What better way to end a divine day than seeing a Naag Devata and knowing that we are guided and blessed by a powerful Master. I have eternal love and gratitude for you Mohanji that no words can ever explain. “Bless you Deloshnie, I know how you feel. Following this path is so beautiful. Every thought, word and tear is known by Guruji. 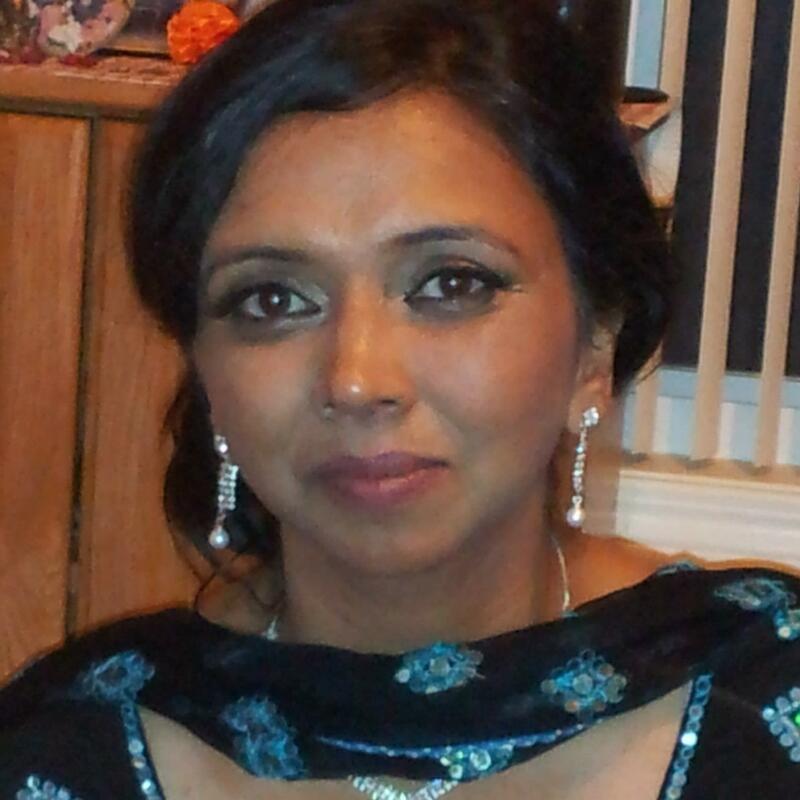 You have to believe it first, then you will experience it,” says Seema Mahabeer. It was a perfect Saturday morning in Gurgaon on a March day. A beautiful spring weather, nice and pleasant sunshine, not hot. I was driving to reach the venue of the food sewa. Normally the road which I take through a forest does not have much traffic. However, today I ran into a lot of traffic. The other side of the road was empty and cars were zipping by. I saw a big truck going very slowly – as if it was unable to carry its own weight. Beside it there was another dithering smaller pickup truck. I saw a few cars bypass both these slow moving vehicles from the third lane on the extreme left side of the road. As the car in front of me passed them by, I followed it in its wake. Just as I was about to overtake them, I somehow slowed down to round about 30 km per hour. As I was still crossing, the truck blew a big horn. I didn’t realise the reason at that time. I just heard it. Just as I came at par with these two vehicles, I saw a huge cow (at least four feet tall with large horns) for a fraction of a second running towards me before it crashed into my car. Had my car speed been fast, when the cow hit me, I could have lost control of car and may have hit some other vehicle or skidded onto the path of the truck. The front shield was broken but it did not crumble inside towards me. Had it happened, hundreds of small flying glass could have hit my face and eyes. Today I could not have been even able to type out my experience. The driver seat window was left untouched! If this had been hit, then a similar situation like the front shield crumbling could have happened. 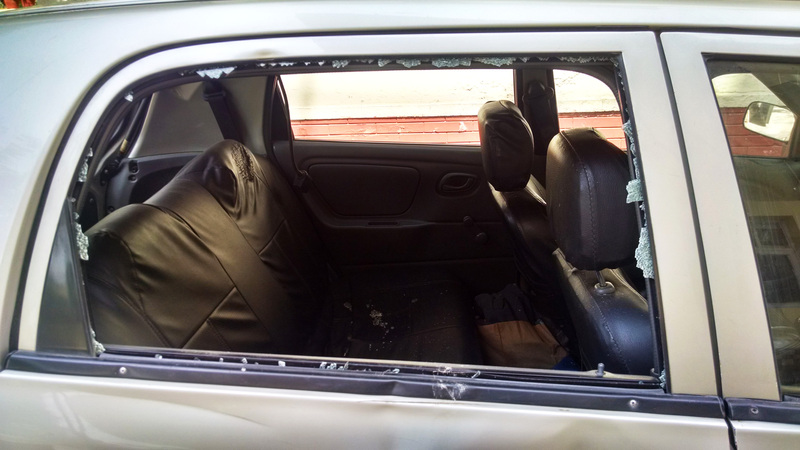 The back seat window got completely smashed. As no one else was in the car, this window was a convenient to take the karma off by Guru. 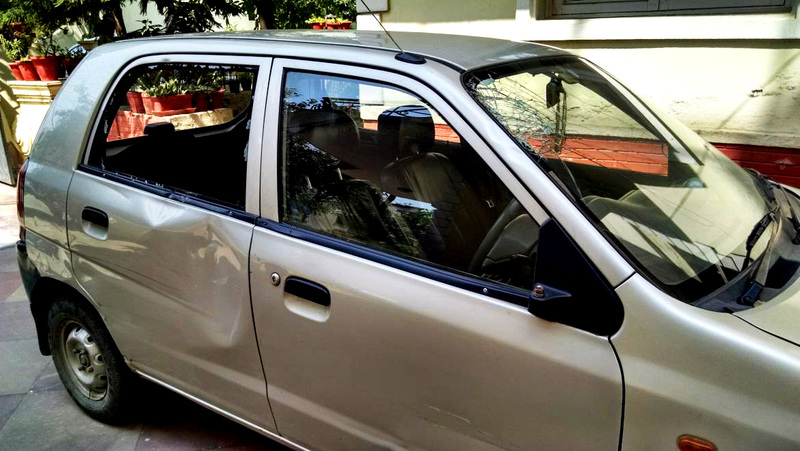 Had the two feet long horns of the cow pierced the driver’s window, I could have been impaled. I just received a very good shake in the body. No cuts or broken parts in the body. Cow bounced off the car and walked off into the forest. I was able to walk out of the car within couple of minutes with a big smile of thanksgiving to Mohanji and the Universe who protected me from something extremely big. All that I paid for was a good shake and a large bill for car repairs. 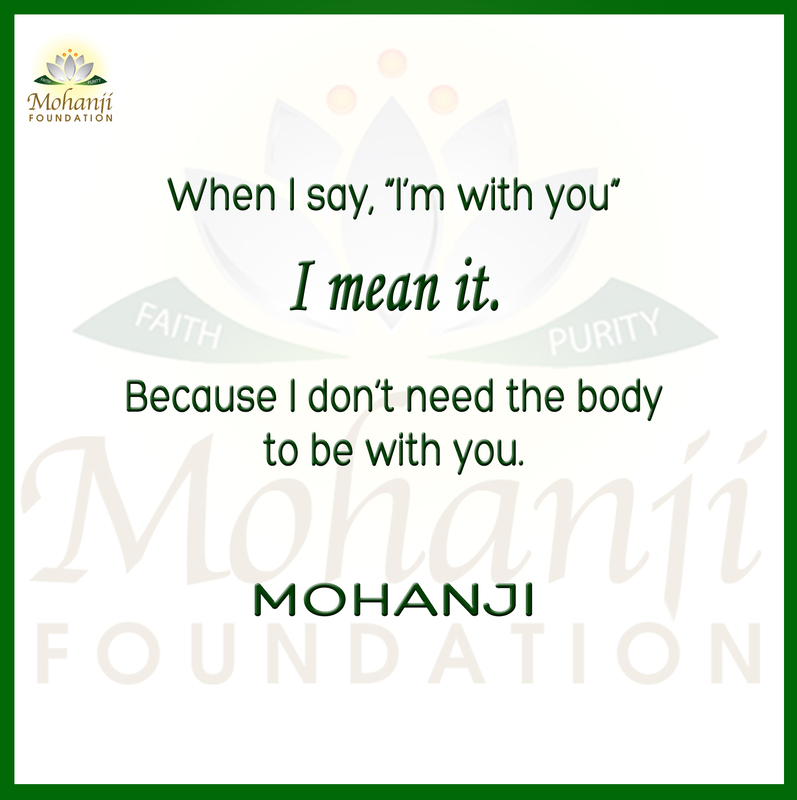 I live only with your Grace, Mohanji. A “thank you” seems so absurd and little in stature. 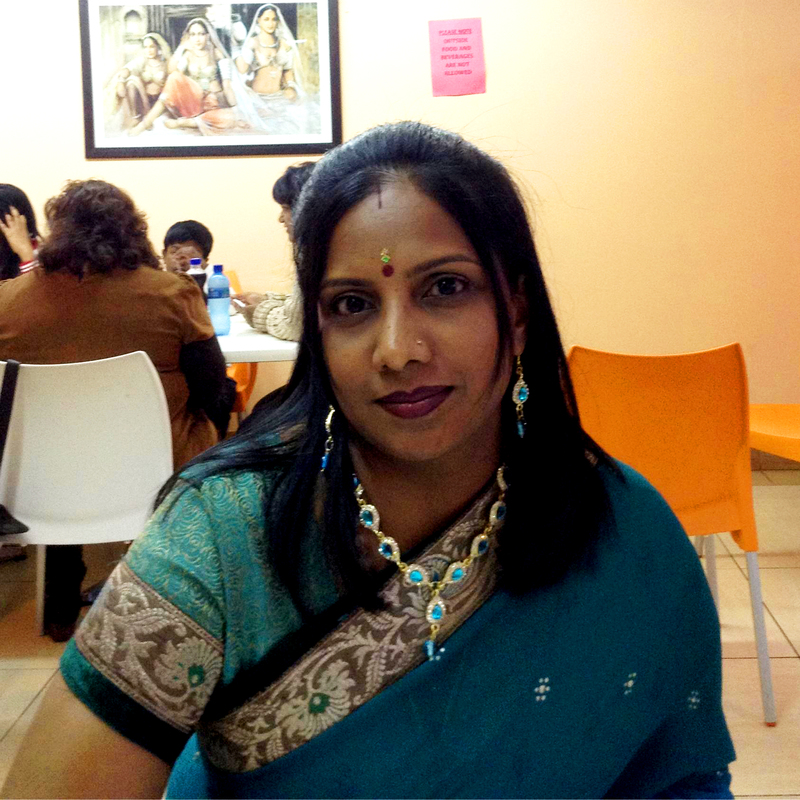 Maybe it was a coincidence, but almost at the same time, in Durban, South Africa, a completely different part part of the world, there was an avoidance of an accident in a split second by Yashik Singh. He shared the details how he was protected and stayed safe. The mercy of Mohanji is not only limited to inside temples or places of worship. 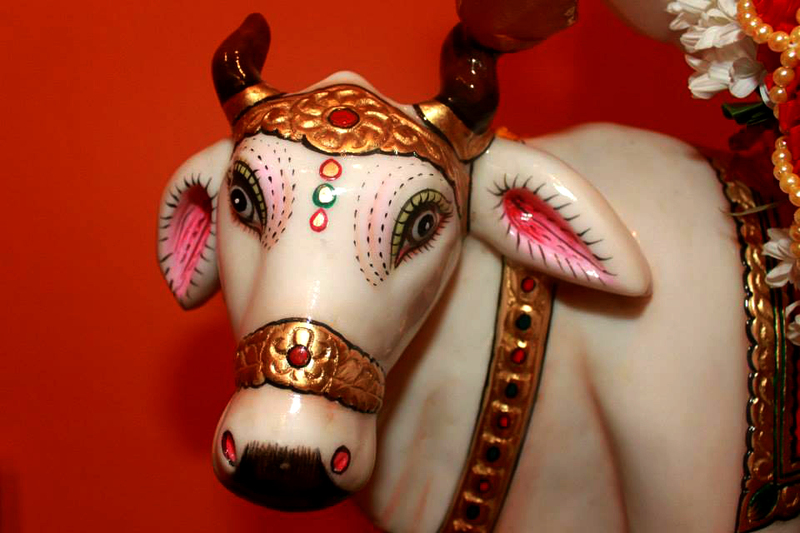 In fact it happens where the true temple of Mohanji is….and that is where ever his bhakta is. Today Mohanji saved Ajay and I from a serious accident. We stopped at a robot (traffic light) in reservoir hills, and my mind wandered to Mohanji. I did not notice the robot turned green even though I was looking directly at it. I was lost in thoughts of Mohanji. The car hooted behind me and I came back to my senses and drove of. We turned left onto the high way. A car come from very fast from the incoming lane and decided to also turn. Because he turned so fast he lost control of his car and missed knocking into the diver side of our car by a few centimeters. If I was not “distracted” At the robot the car would have hit us directly and we both would have definitely been hurt because of the speed the other car turned with. 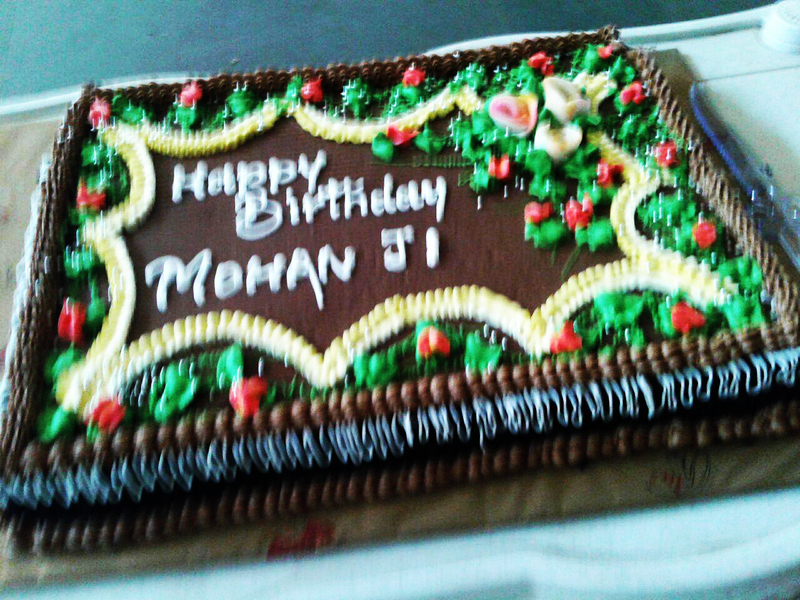 Thank you Mohanji. Thank you for always being with us. Thank you for always keeping to your word “I’m always with you”. Master’s grace and blessing protects beyond imagination. It may often take a lifetime to understand, let alone to recognise the relevance of a teacher and his teachings. Sometimes, it becomes a bit too late, too. 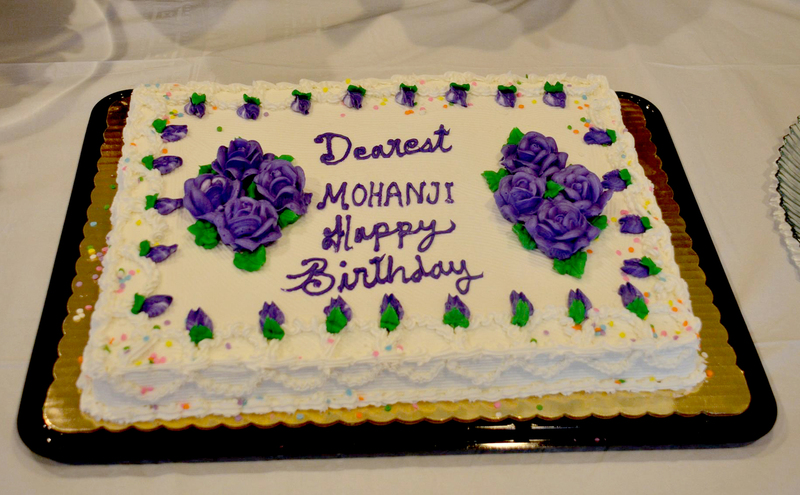 After months of preparation, Mohanji’s birthday celebration was two weeks away. I now started the rigorous process of spiritual discipline to build up the energy for the pranapratisha of Mohanji’s murthi. My diet completely changed. I ate completely satvic food, with absolutely no spices or chillies. I slept on the temple floor with one bed sheet only, well until my mom came a week later and I slept on my room floor. 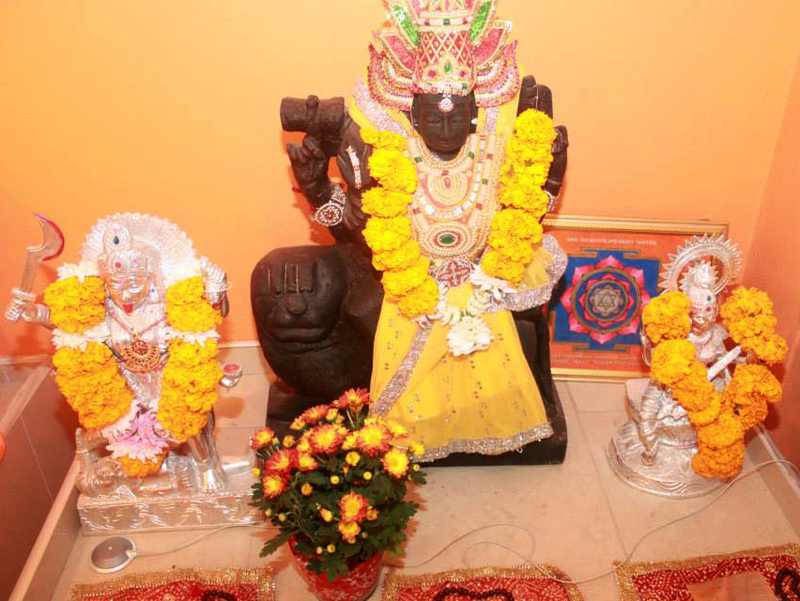 I started the daily pujas… Rudram chanting, homa, Guru padukam strotram, Datta mala mantram etc. Some of the pujas are done every day still. Ramesh Bhai was so kind and dedicated to Mohanji that he decided to join me in doing these pujas every day. (Thank you so much Ramesh Bhai) The week leading up to the birthday we began doing pujas for particular deities. 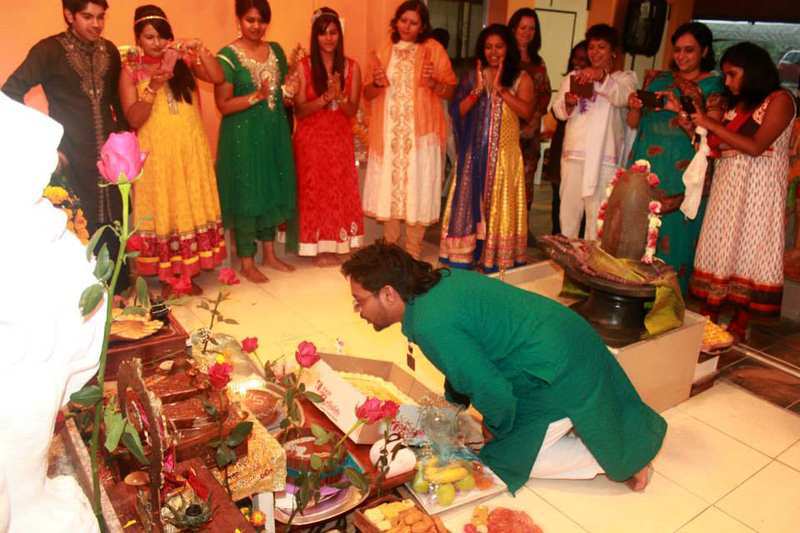 Monday we did Ganesha puja, Tuesday Shiva puja, Wednesday Navagraha, Thursday Guru and Friday Devi puja. We had such amazing experiences. Praan Pratishta was happening at Merudanda. Mohanji was watching it on Skype from Europe. 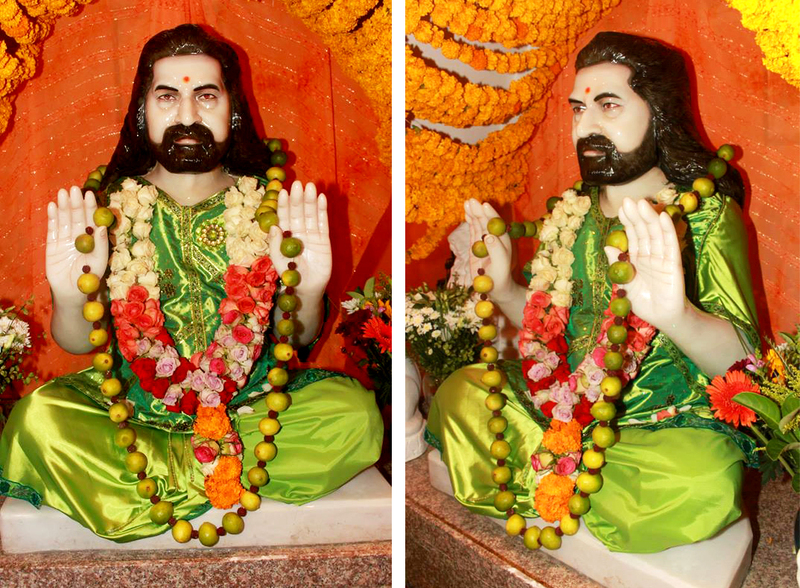 When the Praan Pratishta started, a part of Mohanji’s “soul”/ consciousness left him from his physical body and merged with the idol. There was visible difference in Mohanji. He was moving into a trance state. Yet, he was struggling, trying to maintain his presence with people. 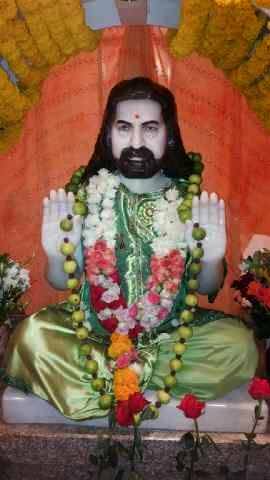 All through the praan pratishta, he could not leave his chair as he was not in his body fully. His consciousness is like heavenly fire. Many lamps can be lit from its flames. It will remain unaffected. A flame can light a 1000 lamps. Yet, it will remain the same, ready to light a thousand more. 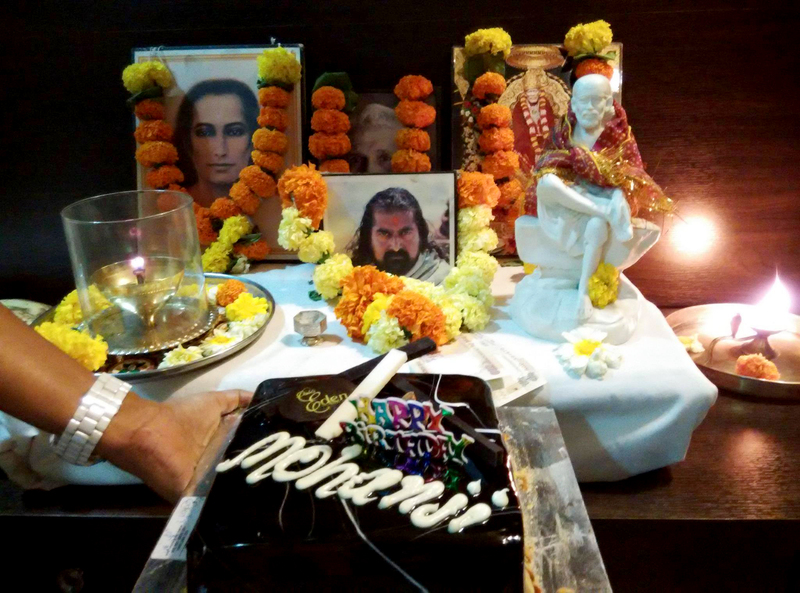 Ayush Dixit’s shared experience with Mohanji’s moorti (idol) inaugrated in Merudanda Ashram along with what Mohanji’s birthday really means to him. We all saw it. We all witnessed it in awe. We all experienced it in our hearts. 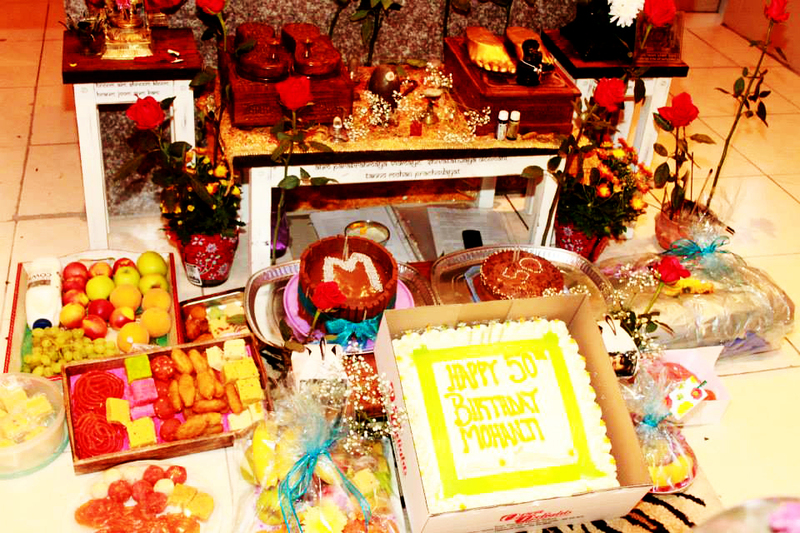 We all participated in the 50th birthday of a man (Mohanji) who wants nothing from us. He never asked us to celebrate and in fact he either downplayed or prevented it whenever we asked, yet, It was a grand global celebration supported by the ever growing family of dedicated members! Those who felt Mohanji in their hearts came together beyond all kinds of barriers and celebrated like never before. It was the shower of overwhelming love reflected back to the source in the form of eternal gratitude. This was a grand show of affection, solidarity, connection, togetherness and above all Unconditional Love and genuine Care. 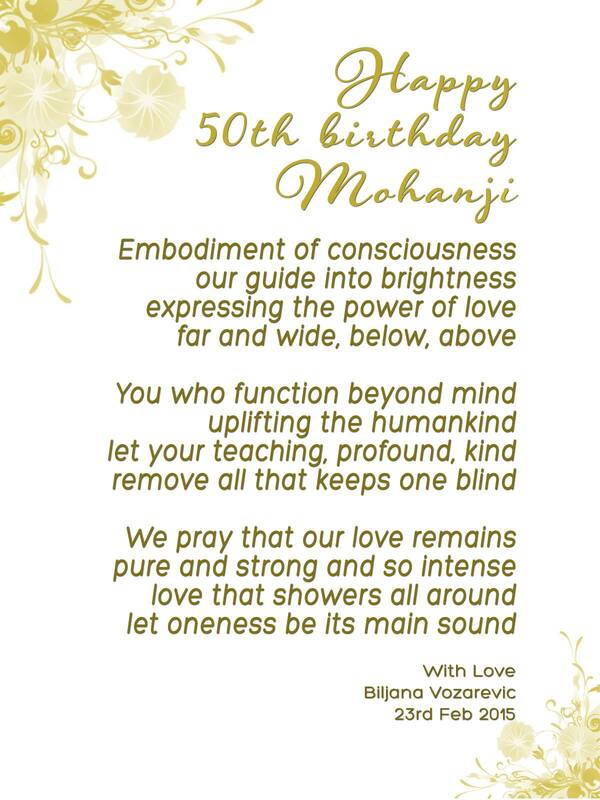 Our meditation centers got together in the idea to make a united international birthday video brimming with gratitude and joy, to express love for our guide in spirit, protector in everyday life, pointer to the peace within, Mohanji. Operating in absolute consciousness and unconditionality, He touched thousands of hearts around the world with divinity, message of liberation and absolute truth. One whom we connect to only through love, as love is god itself, omnipresent, omnipotent, timeless, formless and non-local. He is one with our ultimate soul-mate – the Self, both outside of us and inside of us, above and below, through space and time, untouchable and immovable, silent yet most loving. Thank you for being Light on our Path! We love You! 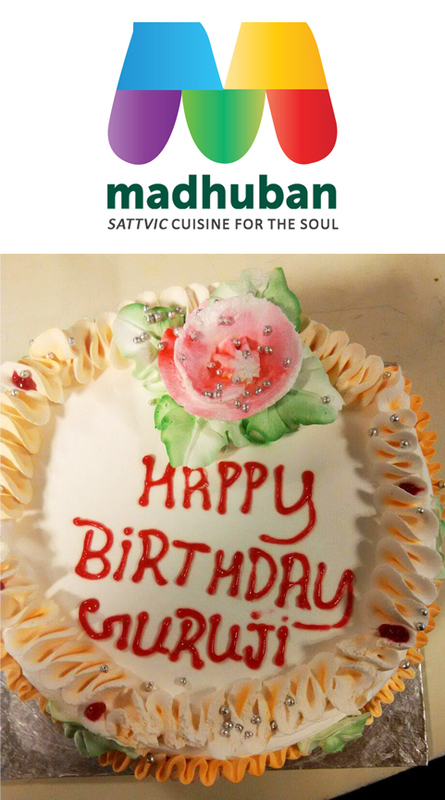 Watch the birthday video Happy Birthday Mohanji! ACT Foundation Serbia organized 81 food packs for all the families in Bangladesh (located in the outskirts of Novi Sad) , which included essential ingredients like flour, rice, oil, sugar and some biscuits as well as toys for the children. It was especially beautiful to have Mohanji with us on the very first ACT to stop hunger initiative in Serbia. I About 650 kilos were distributed to Mother Teresa homes in order to serve food to the homeless and support very poor families in the UK. II In addition to this, 10,000 kilos of food has been distributed to Romani families in Montenegro who are living in appalling conditions. III food donated by people attending the Power of Purity meditation sessions i.e. about 250 kg of rice will be distributed to Croatia, Bosnia, Kosovo, Modova and other countries in the Balkan areas. I Sandwiches were made and distributed to the needy. 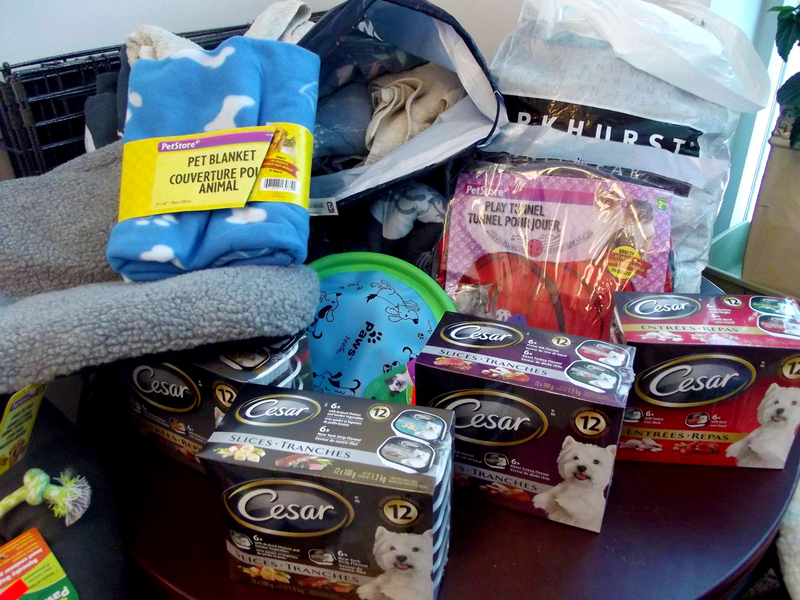 II Pet food and equipment was distributed to the Animal Rescue Shelter. 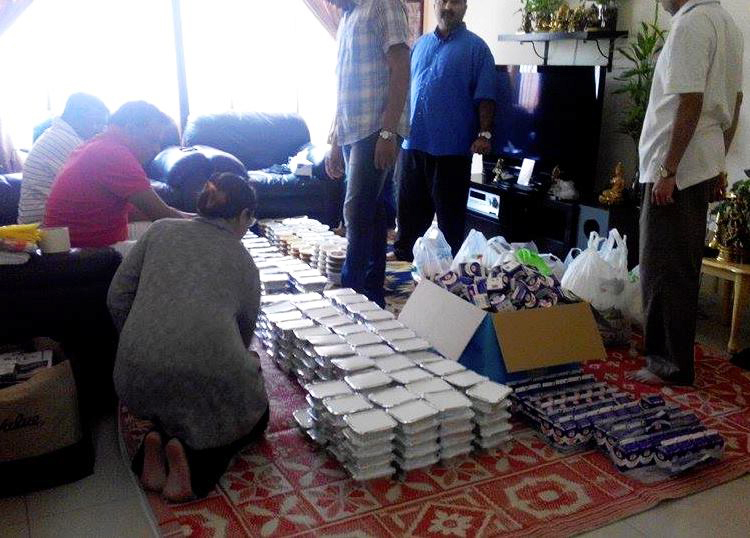 I The UAE Dubai team distributed 250 packets for breakfast to laborers this morning. II Another beautiful Food Seva was in Abu Dhabi. 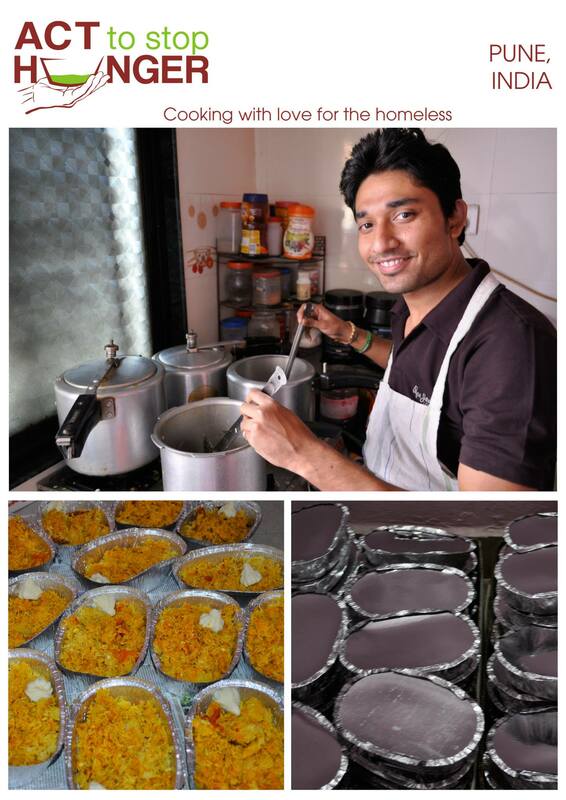 Our Abu Dhabi family cooked and distributed food as their contribution for 400 laborers. My beloved embodiments of pure love How can I thank you enough. Such overwhelming expressions of pure love! Such caring! How can I thank you enough? I am overwhelmed by the love that all of you from across the world showered on me so unconditionally. I value your pure heart, uncontaminated by concepts and prejudices. When I was asked where will I celebrate my 50th Birthday, I always maintained “Across the world in the hearts of those who love me unconditionally”. This literally took place. Thank you. Divinity is in unity. Divinity is in togetherness, oneness. Divisions and disharmony are creations of our mind. If this is deeply understood and experienced, there are no more sorrows in life. We are all one. One consciousness. One. The whole life is a celebration of being here and now. Celebration of just being. Just being for nothing. Just being for the sake of being. Just free. Just living freedom. Disharmony and alienation are aberrations of our waking mind while unity is the perpetual reality. When we feel separate from the other, it is also a wake up call to get back home to unity. Harmony. Freedom. Love. Liberation. Compassion. This is what we are. This is all. Thank you for your sincere expressions of love and togetherness. Thank you for being yourself. Being love. Thank you for your unshakable faith. I live in your hearts. My sincere thanks and gratitude to our family members of USA Family, Canada Family, UK Family, Serbian Family, Macedonian Family, Indian Family located at various places – Jammu, New Delhi, Gurgaon, Vishakhapatanam, Hyderabad, Mumbai, Karwar, Pune, Ooty, Bangalore ; UAE Family – Dubai – Abudhabi, Ammucare Team, ACT Foundation, ACT Global, Madhuban Group and all others who individually and collectively served/serve the world on this day and every day. Thank you wonderful family members. Infinite gratitude for being true wealth of the world that you live on. 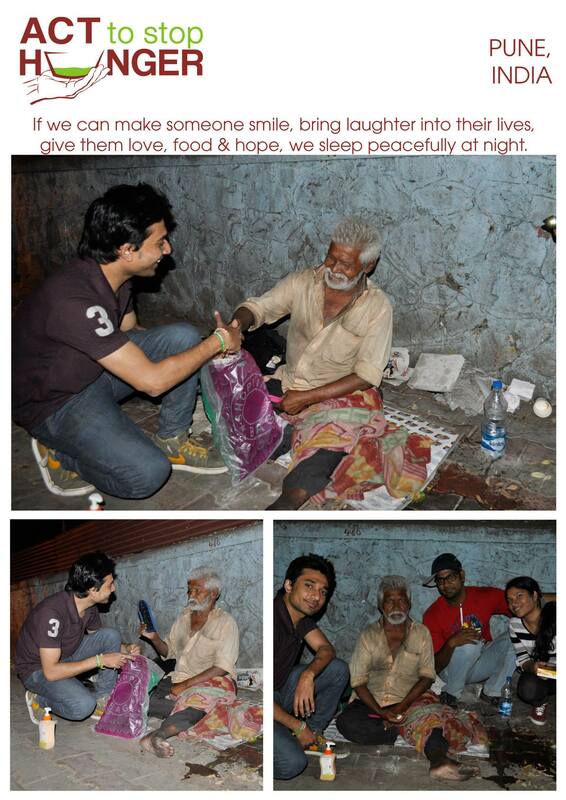 Consistent ACTs of Kindness always keeps us wealthy and contented inside. Sincere Thanks and Gratitude to Mamu, Sumit, Phaneedhar, DB, Sakshi, Deepali, Anurag, Bharti Kapoor, Palak, Kirti, Preeti Yadav, Preeti Duggal, Harsanjam, Priyanka, Arpana, Aditya Nagpal, Rajesh Kamath, Namrata, Sushant, Sumanji, Jyoti, Chachu and Chachi, Prasoon, Jasvir, Shubahgi, Saurabh, Rishika, Harmeet, Sarala, Kavita, Satyam, Jatin Sejpal, Siddharth, Shruti, Suman, Prakash, Aditi, Swamiji (Anand Ashram), Preeti, Madhu, Aadharan Orphan Home team, Ruchi, Asha Niketan team, Sakshi, Joy, Chachi and Mohanji Ka Aangan team, Riddhima, Kapoor family, Dana, Sharda, Harmeet, Rajni, Shilpa & Vinay Rana, Ram, Ashwani, Umesh, Sunita (Jammu), MBS Chauhan and family and many others who have visibly and invisibly participated on the celebrations of this day and everyday. 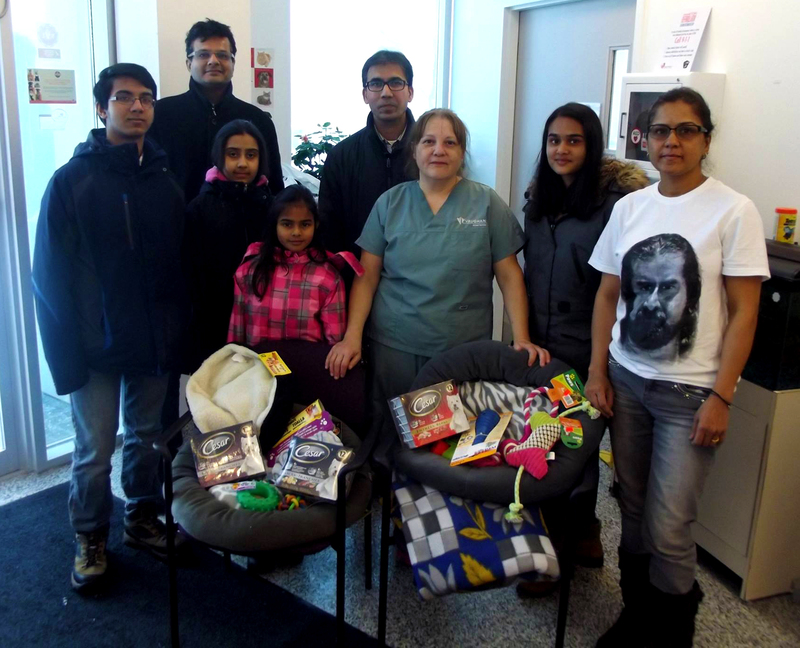 Thank you, Lata, Ganeshji, Ashok, Viji, Amma, Ben, Nilesh, Neha, Djeri, Jennifer, Kalaka, Anu, Sanjay, Andra, Judy, Mrs&Mr.Manu Gupta and all our family members of USA and Canada. 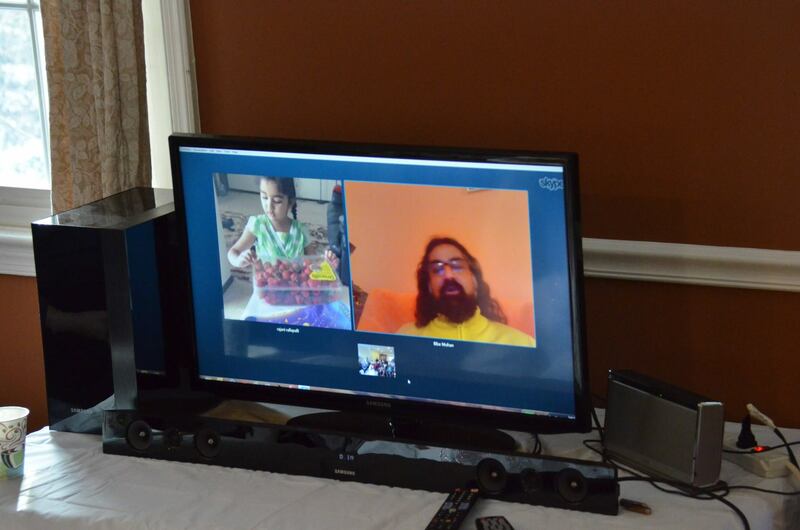 Special thanks to Mila, Biba and her parents as well as Dana for joining in by Skype. 🙂 Thank YOU ALL. 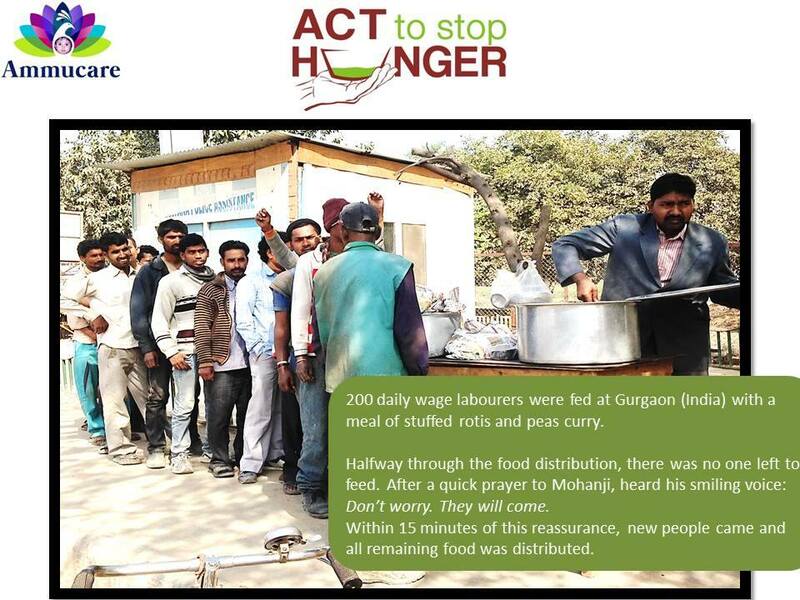 Thanks to ACT to STOP Hunger group. Thanks to all those who made lovely collages, posters, cards and poems for me. Thanks to my parents, Gratitude to Sadasivan Sir, Ashok Thampan, The Sai Temple team including Sunil and Pratibha, Ranjith and Sujatha, Sunitha and family for arranging and receiving a lovely cow and calf on my birthday at Sai Temple at Palakkad. The Original Indian cow and its wonderful calf will remain a symbol of purity of motherhood and our grand culture of care beyond species barriers. My humble gratitude to each and every one of you who took time to wish me and expressed love through various acts of kindness. Gratitude. Gratitude. Gratitude. You made me rich. Heart is full. I feel truly rich inside. This wealth of love that you showered on me is invaluable. Thank You. And Special Thanks to Biljana V. for putting this together. Her silent work is always appreciated. 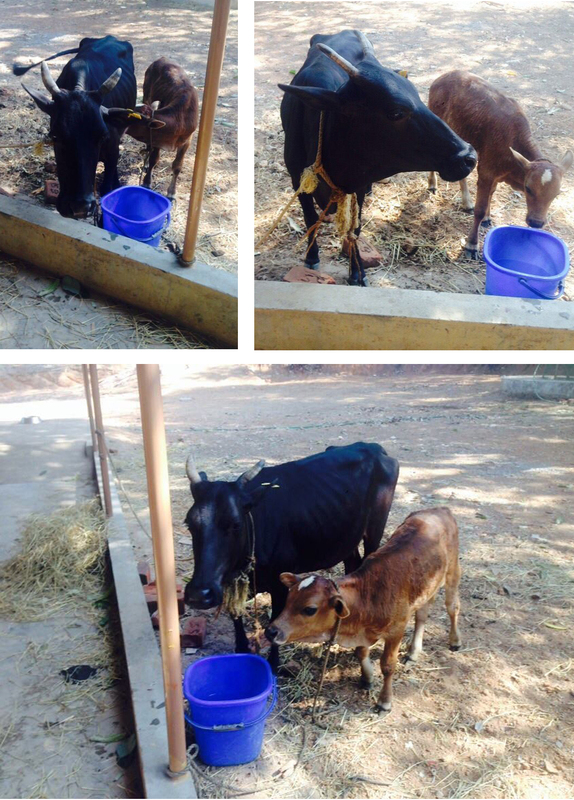 Cow and Calf gifted to Shirdi Sai Temple on Mohanji’s 50th birthday. 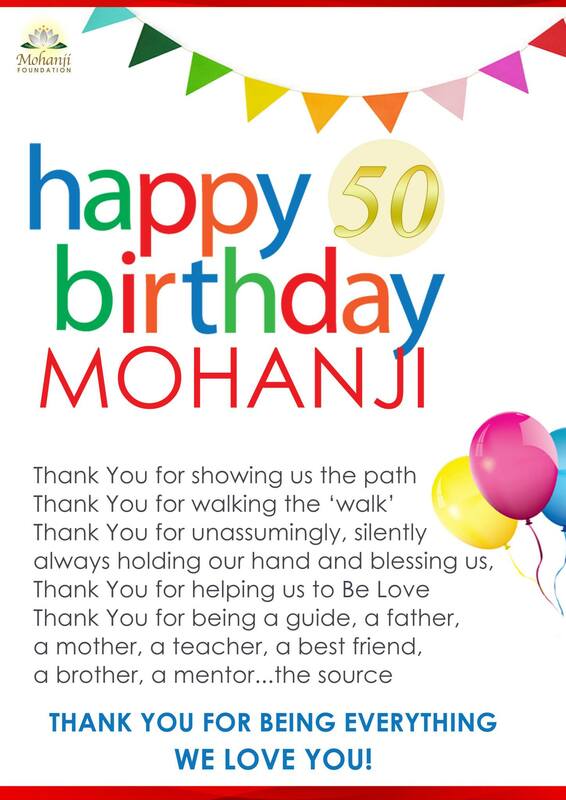 The Merudanda Ashram, a temple dedicated to Mohanji, in Durban celebrated a very special Mohanji’s 50th birthday. Read a blog about this grand event. 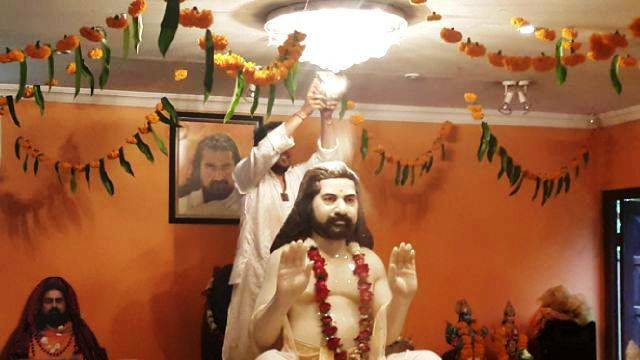 It was the first time ever, that Mohanji’s idol has been installed. 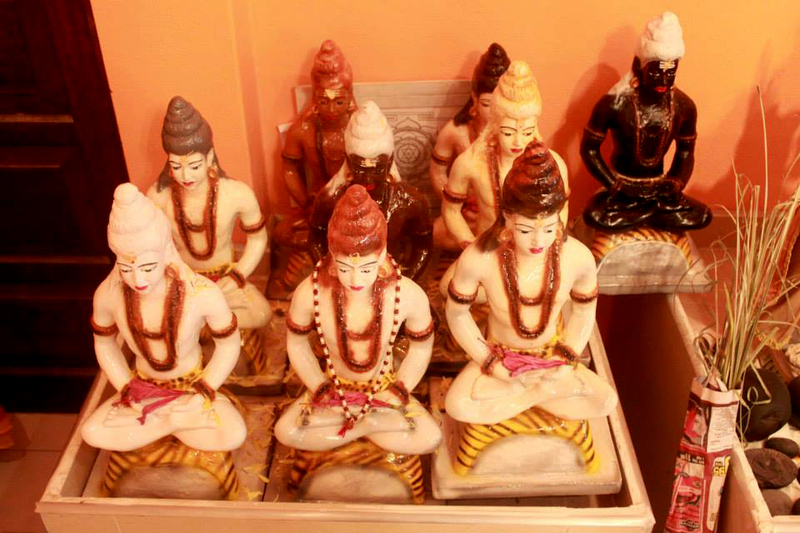 Weeklong pujas at the Ashram, conducted by Yashik Singh preceeded the Praan Pratishtha of Mohanji’s Murti. 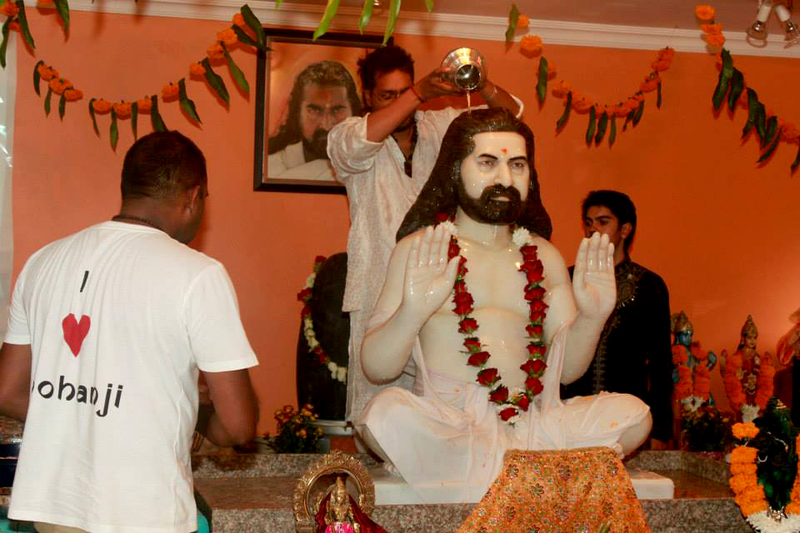 Devotees were given a once in a lifetime opportunity to offer water to Mohanji and do their own personal abhishekam. After this no one will be allowed to touch Mohanji. The MahaAbishekam was performed with different types of perfumed water, water that contained this centuries Kumbamela water, water from 1008 thirthis, milk, yourgt, rice powder, honey, sugar, sandalwood, vibuthi (which was everyones favourite), the water from the 14 kalsas made during the prayers and ashes from the daily homas that were performed. Ayush Dixit’s shared experience with Mohanji’s moorti (idol) inaugrated in Merudanda Ashram along with what Mohanji’s birthday really means to him. The celebrations began with the Power of Purity Meditation followed by beautiful and soulful chants invoking Ganesha, Datta Gayatri, Maha Mritunjaya Mantra, Mohanji Gayatri, Guru Gita and Shanti Mantra! 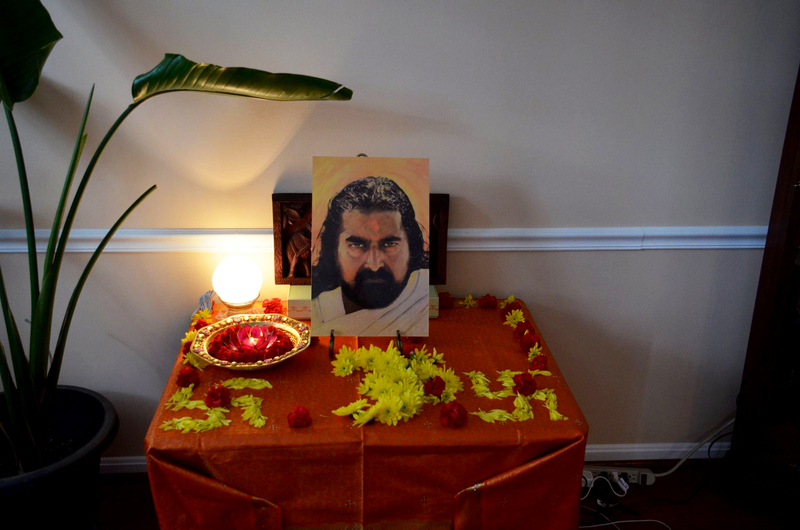 We were fortunate to be blessed with a Skype Satsang with Mohanji! Mohanji asked the group to remain with eyes closed and meditative while he chanted the Shiva Kavacham! It was beautiful, powerful and immensely cleansing! 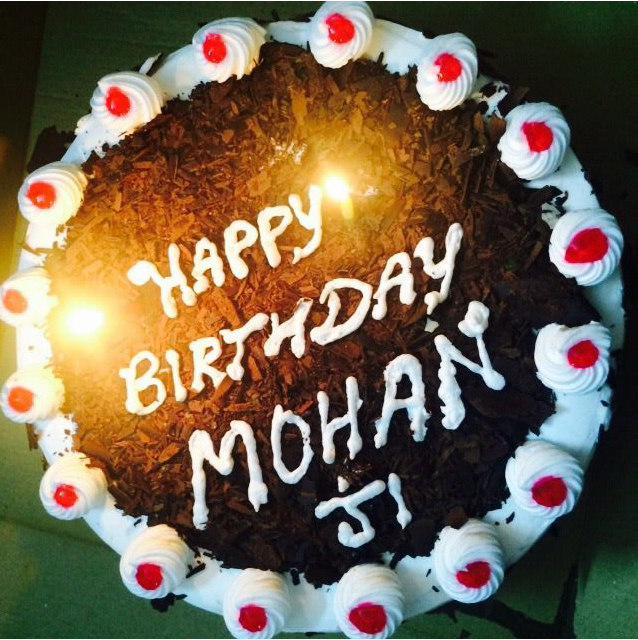 Thank you Mohanji! Mohanji answered questions with beautiful examples and stories! The group then watched the amazing Global Birthday Video produced by dear Zoran! Here are some moments…. Ammucare Team visited boarding school orphanage. 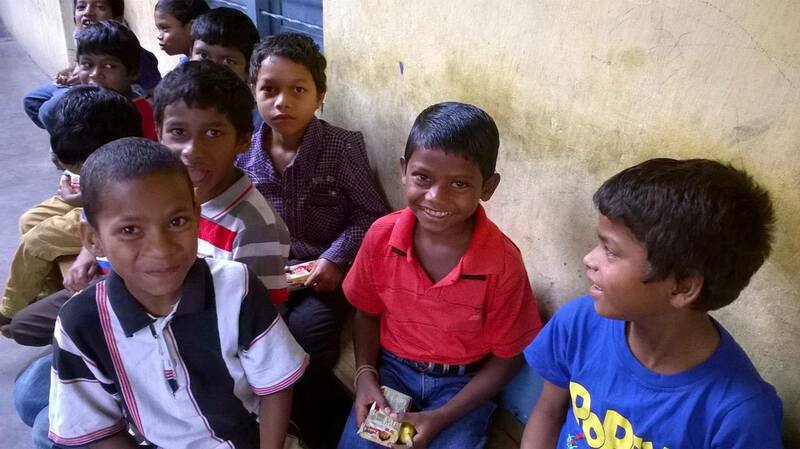 School is home for 250 orphan children from age grup of 5 – 18years. 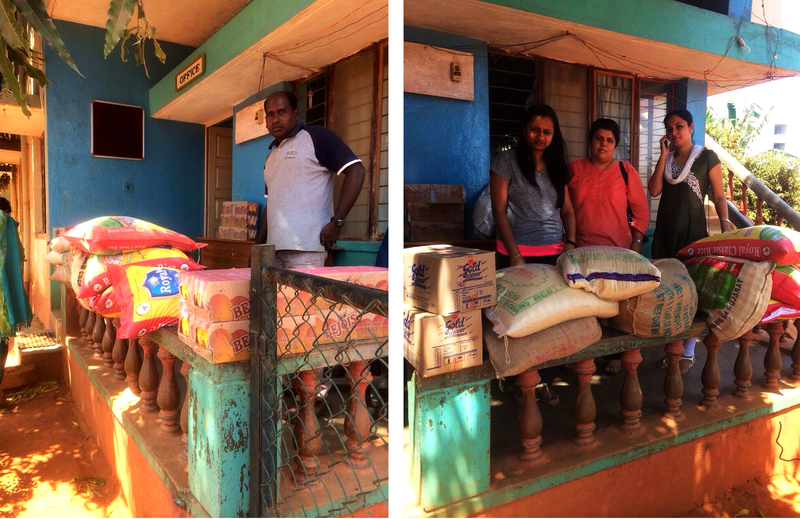 Team Ammucare donated Rice, Pulses ,Sugar , Oil and other basic ration items . Team also distributed tetra packs of fruit juices to all the children. 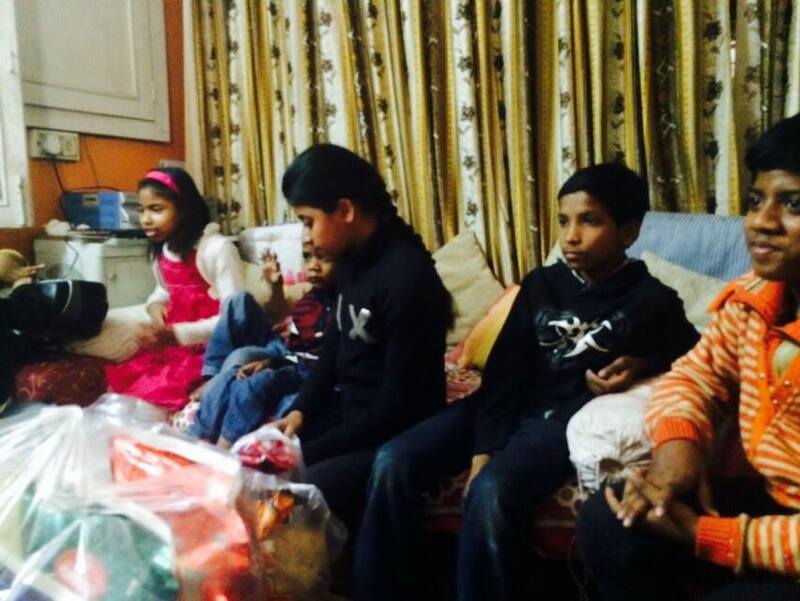 Ammucare team at Delhi visited Annie’s Angel Home, a shelter home for 17 orphaned children. 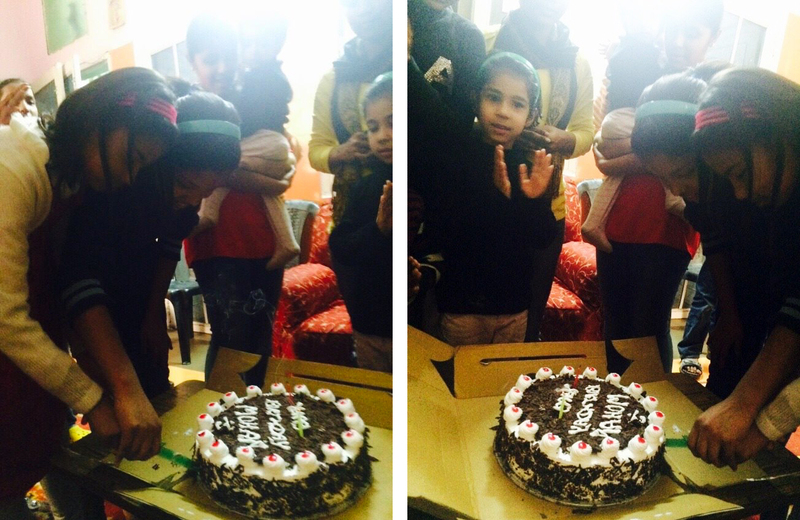 Mohanji’s Birthday was celebrated by cake cutting followed by Food Seva. Ammucare also donated two Air-coolers for children. 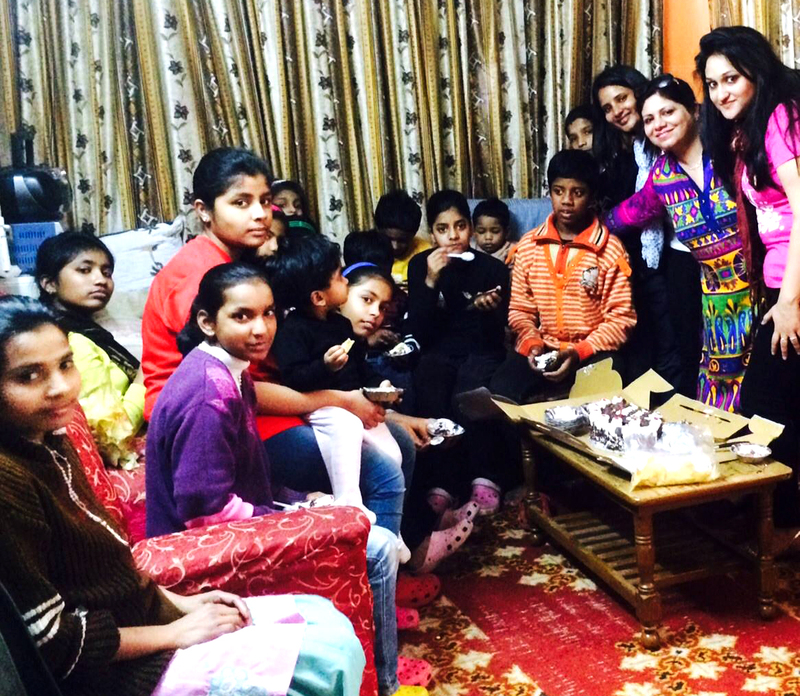 Ammucare has been consistently doing activities at Annie’s Angel home on various occasions. Team also visited cow shelter home which also a weekly regime by Ammucare. 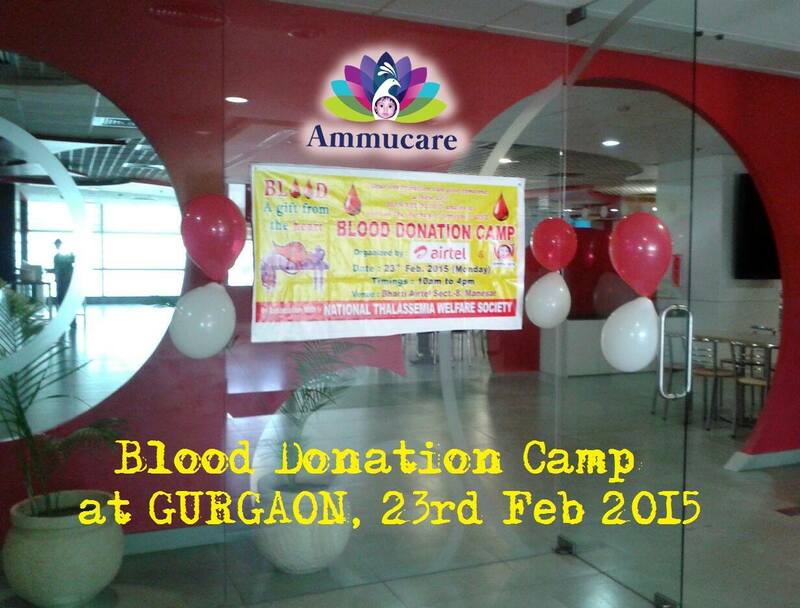 Team Ammucare organized Blood donation camp at renowned Airtel Center at Manesar. Blood donation started at 1000hrs and lasted till 1600 hrs. 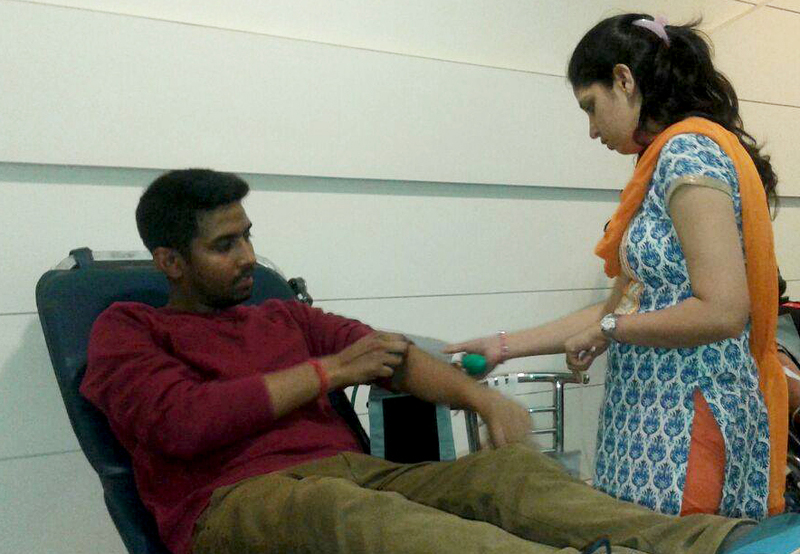 Camp wrapped up with collection of 61units of Life Saving Blood for Thalassemic patients . 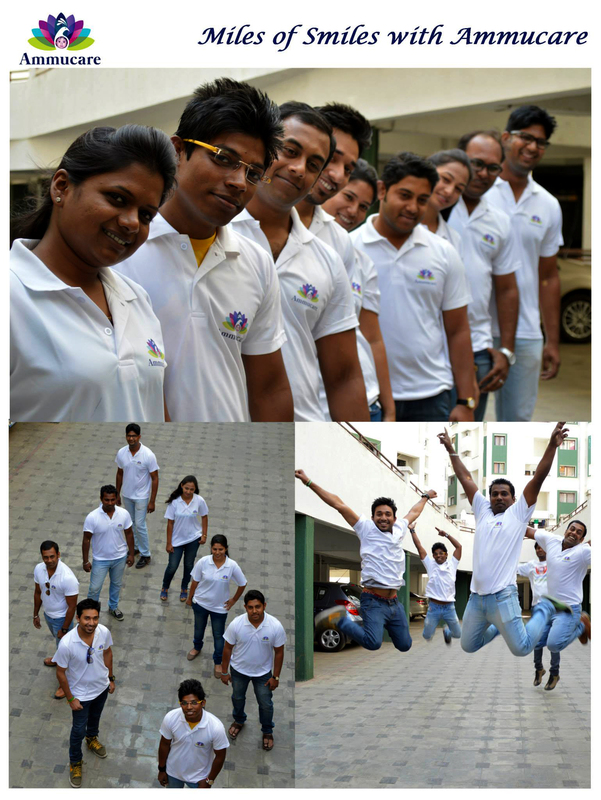 The team was really happy as the blood which they collected was after all a quality blood and not a quantity blood. Team managed to speak to few donors ad they were too excited and empathetic to know about how we all are building Blood Relations. 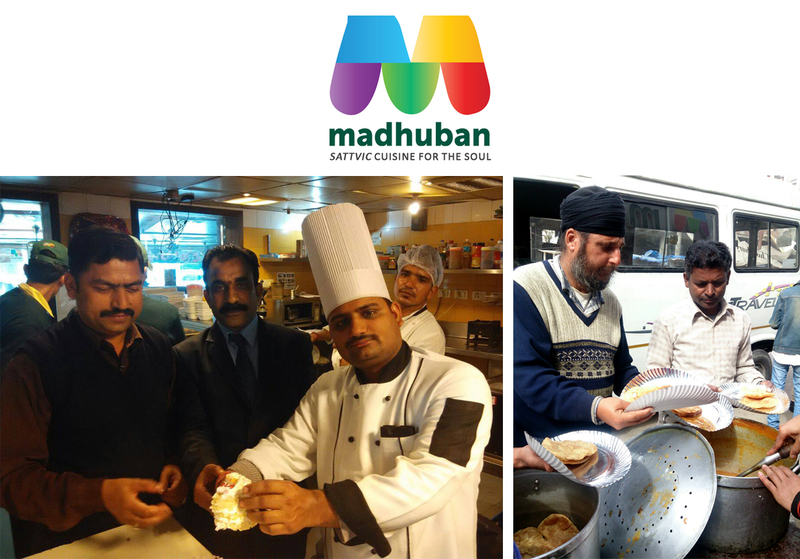 III MADHUBAN RESTAURANT celebrated in high spirit. 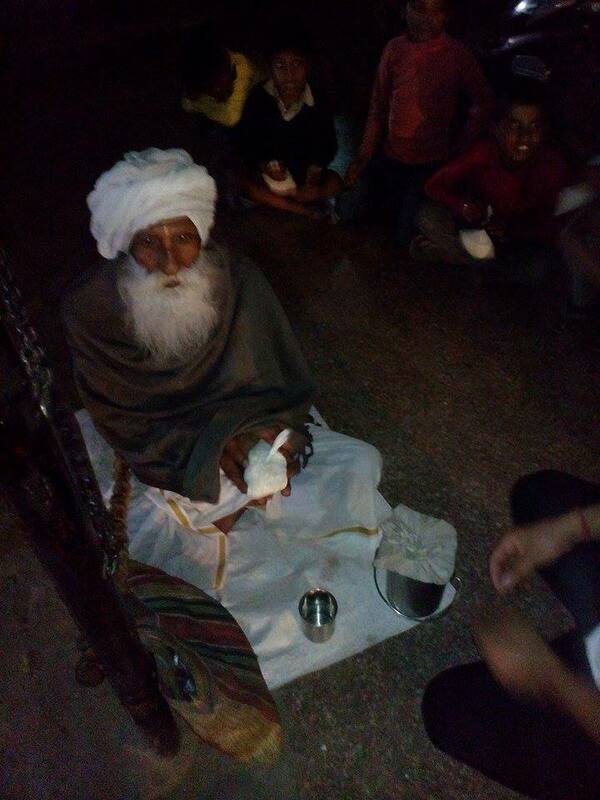 Kheer was distributed to the hungry homeless people in the streets. 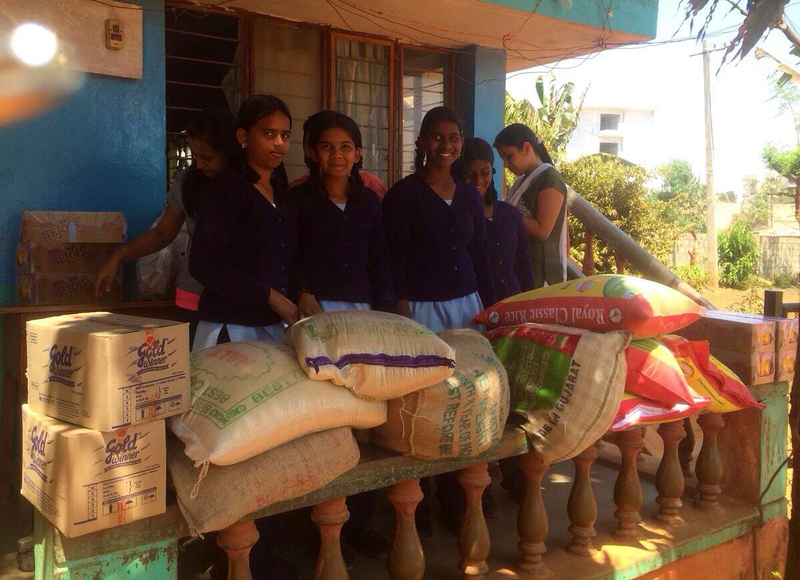 Team visited a School for Blind orphan girls and donated Rice, Pulses, Oil, Vegetables & other basic ration items. Mohanji’s Birthday was celebrated with joy & fervour at Mohanji Ka Aangan, a learning place for underpriviledged children. . Children at Aangan enjoyed the birthday celebrations to the fullest. 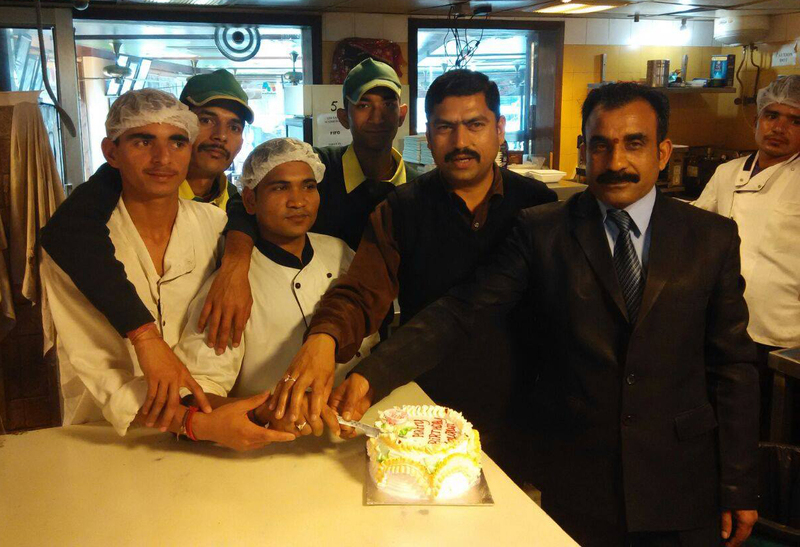 Celebrations started by cake cutting, followed by Food Seva. 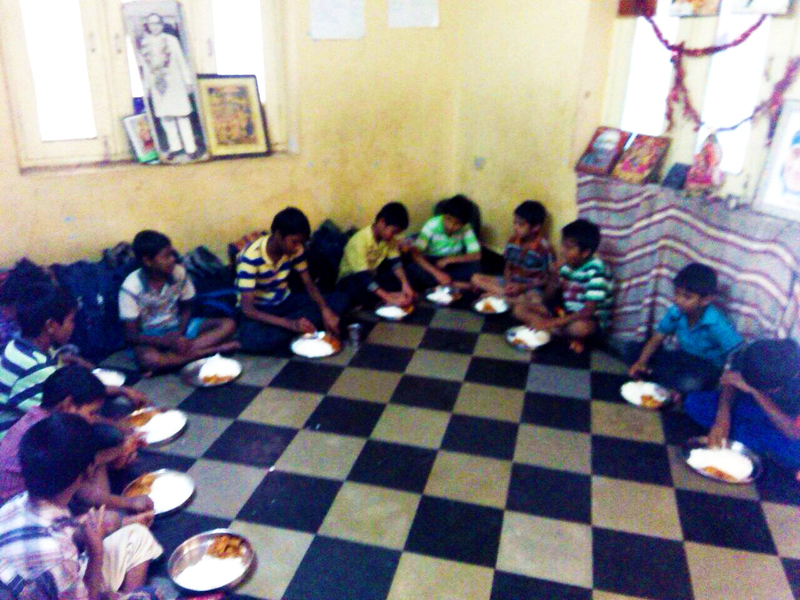 More than 125 children were served lunch consisting of Aloo – Poori along with chips & chocolates. Essential stationary items were distributed to children as gifts which would also serve the purpose in aiding their education. It was heart-touching to see the loving art-works created by the little hands to convey their birthday wishes to Mohanji. Clarity of the mind, purity of the soul, and dignity of the heart – may these be the true pillars of all beings, year after year. 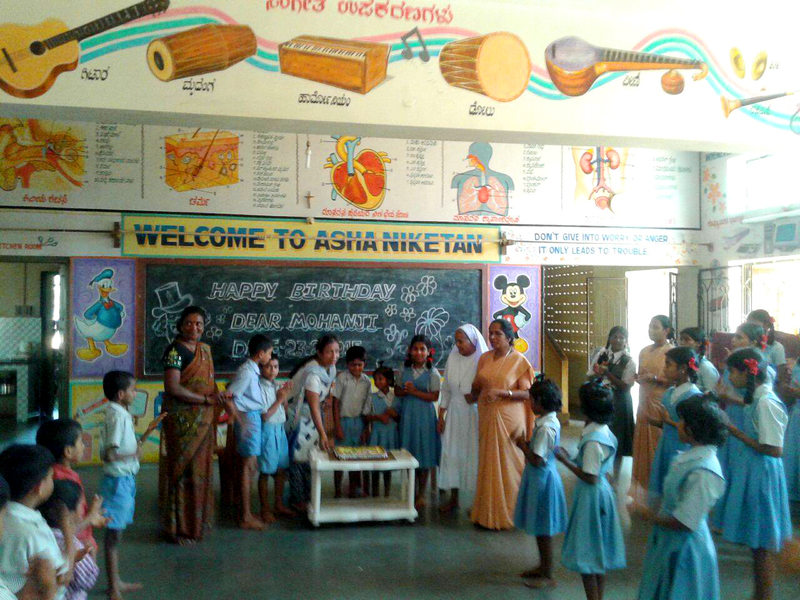 Mohanji’s Birthday was celebrated at Asha Niketan, which is a home for 60 hearing & speech impaired children. 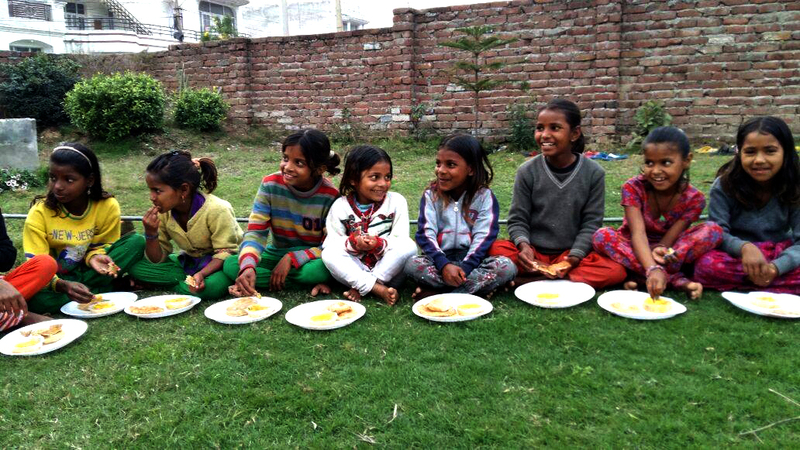 Ammucare has been consistently supporting Asha Niketan in various ways. 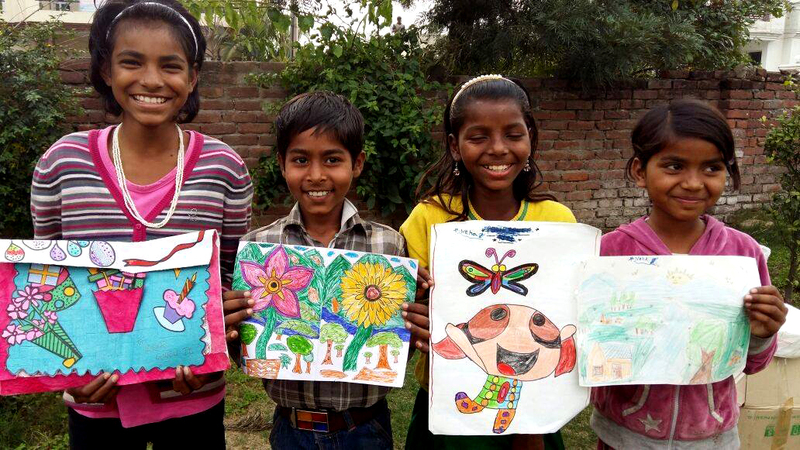 Art work from these children has been all time attraction in various exhibition of Ammucare. 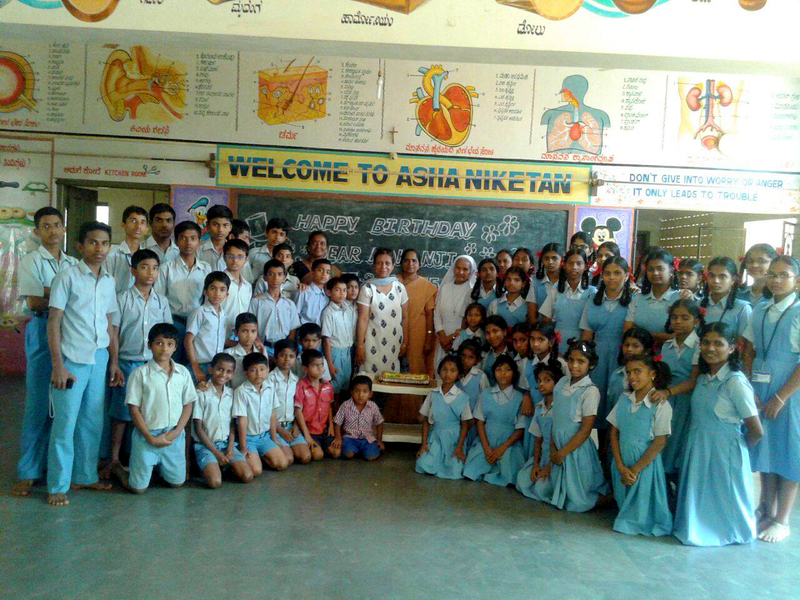 As part of Mohanjis Birthday celebration seva activity was conducted by distributing ART kits to all the children. 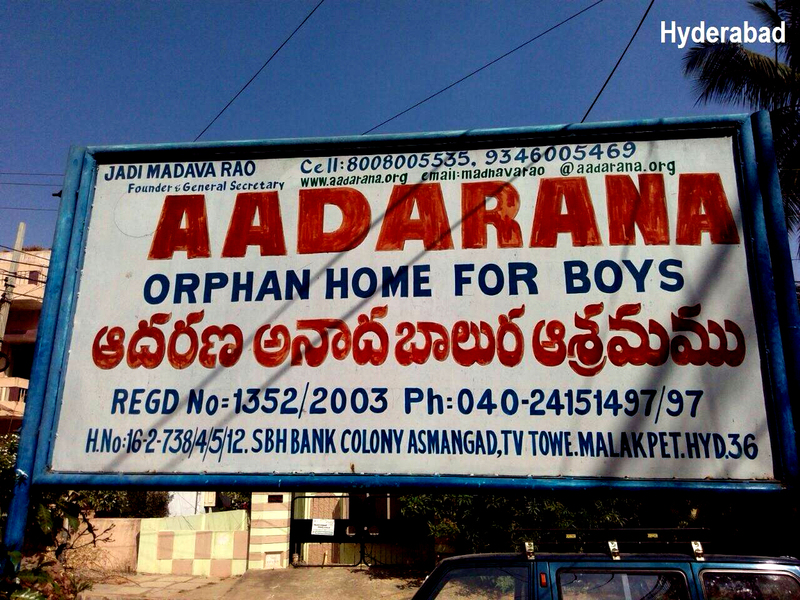 Team went to Aadaarna orphanage, a shelter home for 30 boys. A nutritious lunch was served to all the children. 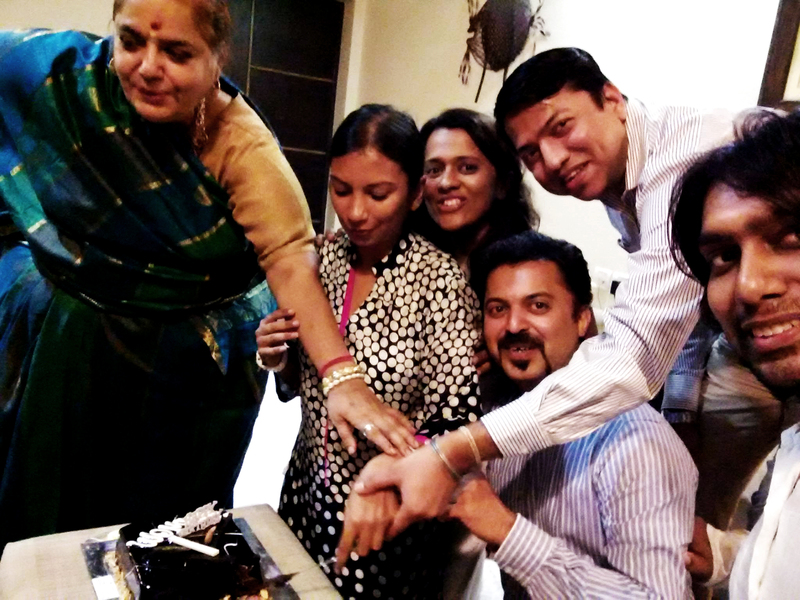 Mohanji’s birthday celebrations in Mumbai at Preethi Gopalarathnam’s place. 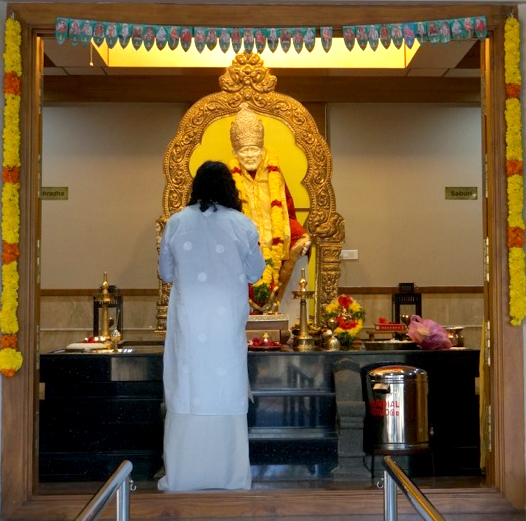 The Mumbai center is being reorganized at a different place so it is special that Father graced the first edition. 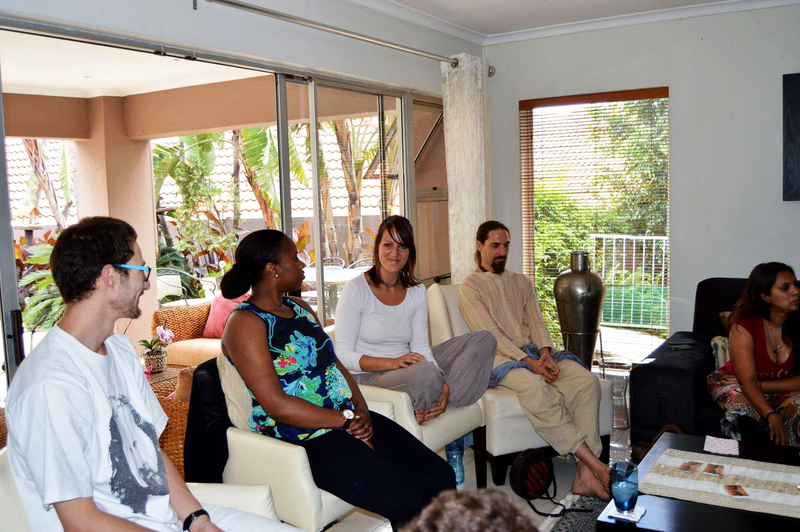 We did a Power of Purity meditation followed by book reading, aarati and cake cutting (and of course cake eating)..These pictures were taken after the meditation.. silence and bliss soaked our spirits. We did food service- Annadan on this special day. A lovely evening! Our cake cutting selfie ! Ammucare team visited an Orphange, Chief Corner Stone run by Mr & Mrs Carlton. Orphange is home to 25 children of different age groups. 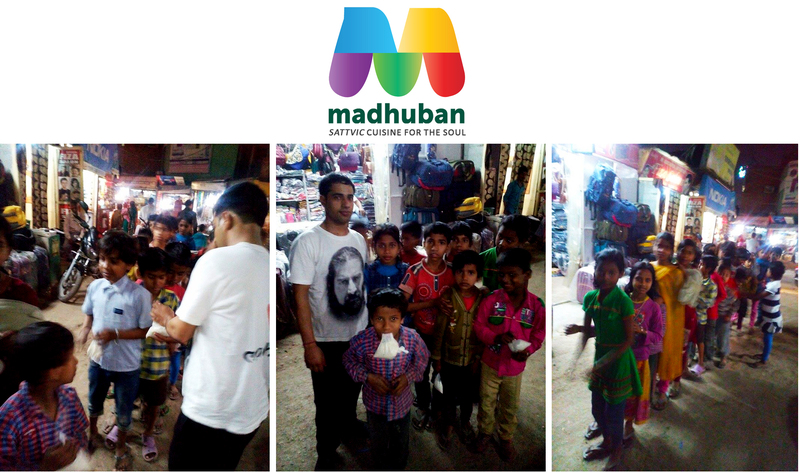 As a part of Mohanji’s Birthday celebration, Team had a cake cutting followed by snacks distribution to all the children. 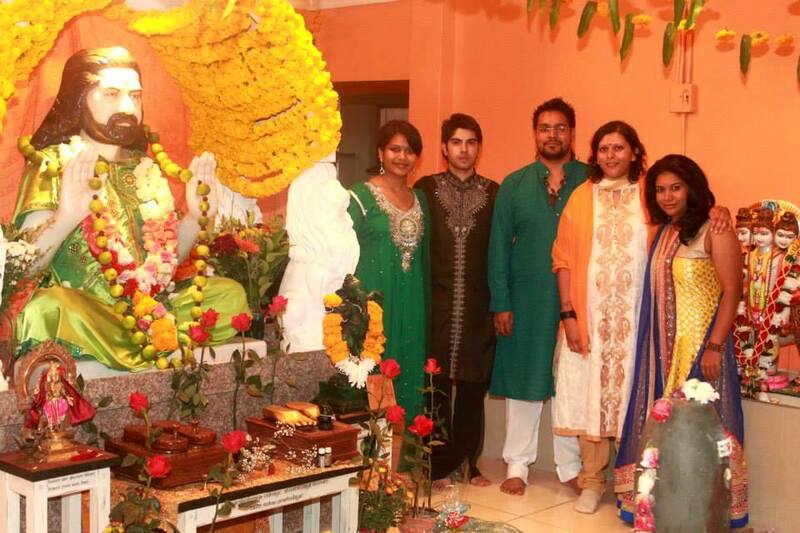 Mohanji’s family in Pune experienced 2 days of complete bliss. We feel totally blessed, overwhelmed and united in love. 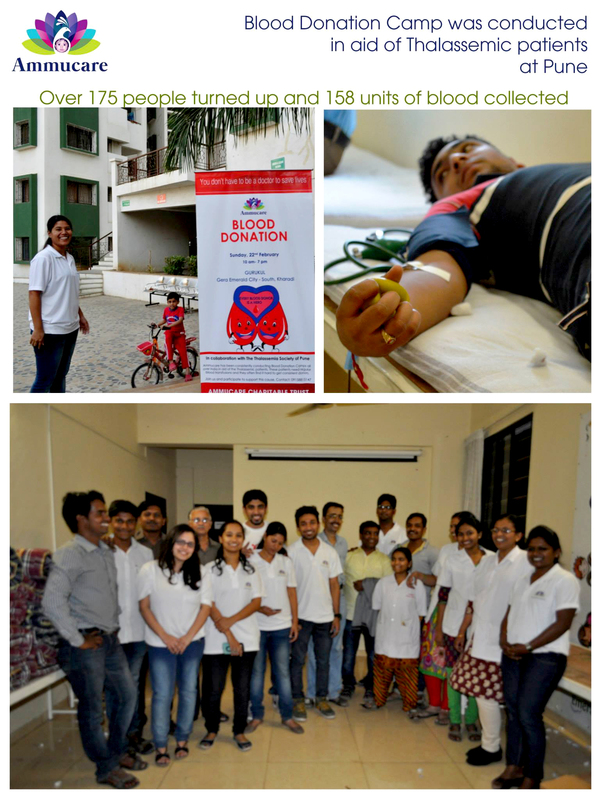 Ammucare Pune organized a Blood Donation Camp in aid of the Thalassemic patients on the 22nd of February. We started in the afternoon and returned home past midnight. We chopped onions,tomatoes, potatoes, we laughed, we had fun, we had thoughts of the people who have no one on earth and are lying homeless on the streets, we prayed for them, we packed so many packets of food and toilet kits, we had funny motorbike incidents.. and with happy hearts started out journey to the streets.. to all corners we could find.. to look for the most needy people who needed some love, some solace, some affection and food. How can we thank Mohanji enough? We were provided with so many who were touched with our love. Around 150 people were fed, not a single packet was wasted, we rode around the city from 8.30pm to 1.20 pm just endlessly serving wherever we were guided to go. 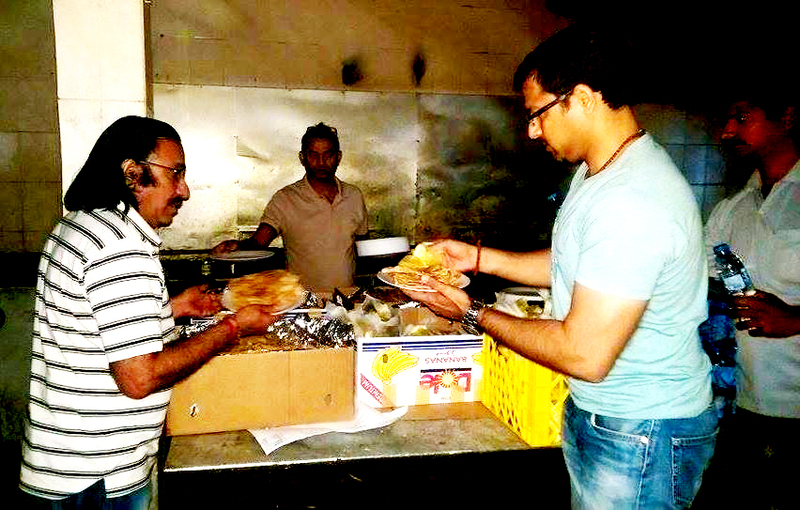 Endless Gratitude to the Divine, to the needy who let us serve them, to the volunteers for their unmatched dedication. 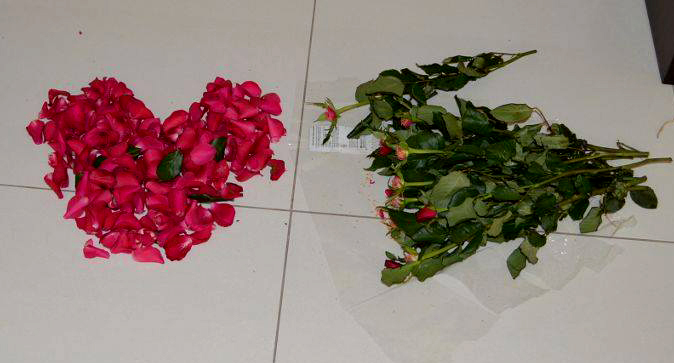 There were some incidents that touched our hearts and souls. We had such meaningful connections..
going street after street for hours.. finding even one person who needs our help, who is sleeping on an empty stomach.. we met an old lady who is provided food by someone every night.. and today even after waiting for 2 hours he didn’t turn up. She thought she would had to sleep on an empty stomach tonight and right then our volunteers stepped in.. gave her food.. counselled her.. she vented her heart out. We even witnessed a dog who appeared from no where and ate the rice and dal meal like a gentleman. There were a group of handicapped people with their families who couldn’t stop asking about Mohanji and kept asking for His eye cards. Our volunteers had to even give away their personal Mohanji eye cards when we ran short because some of them really really wanted them! What a blessed 2 days! We are changed people and feel our beloved Mohanji more in our hearts with each breath. Volunteers cheerfulness made this man happy! He was so amused when we gifted him a mirror, comb, towel, soap and washed his hands. He ate in peace. His eyes were stern but expressed sincerity and gratitude. We bow down to such people to let us serve them. We served over 150 homeless people with hot dinner and around 50 people with hygiene kits. Special moments were celebrated with special people! 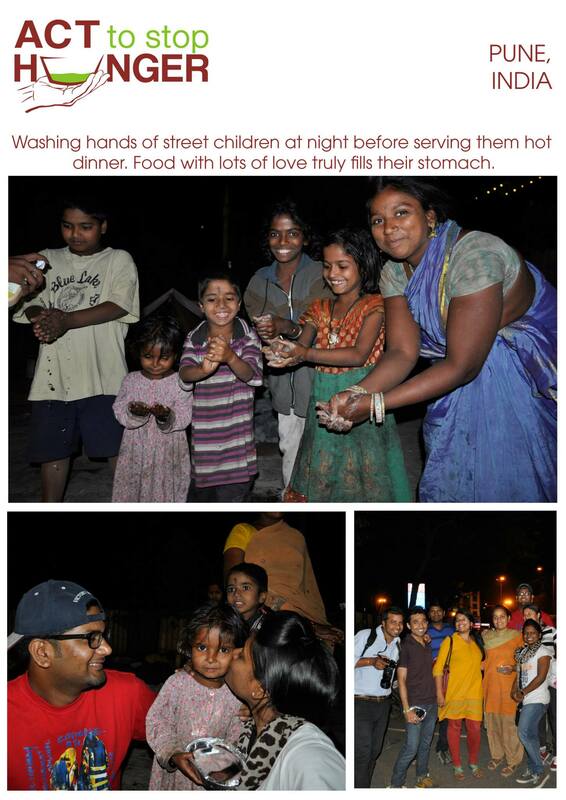 These kids sleeping on dirty roads and pavements felt so happy after washing them hands, we played with them, gave them sweets, hygiene kits, hot food and shared the love. 22nd Feb was a Wow Camp ! We collected 158 units of blood- more than double of our first camp, and over 175 people turned up. It was FILLED and flowing with non stop grace. Mohanji’s energy was beating in our hearts each moment. Our volunteers were campaigning for this since a month.They did door to door campaigning in the societies, campaigned in their offices, did video coverage of the event, shot testimonials, spoke to the Thaassemic patients, cooked for volunteers, did everything to make the donors comfortable and the camp a success from 7 am till 11.30 pm! 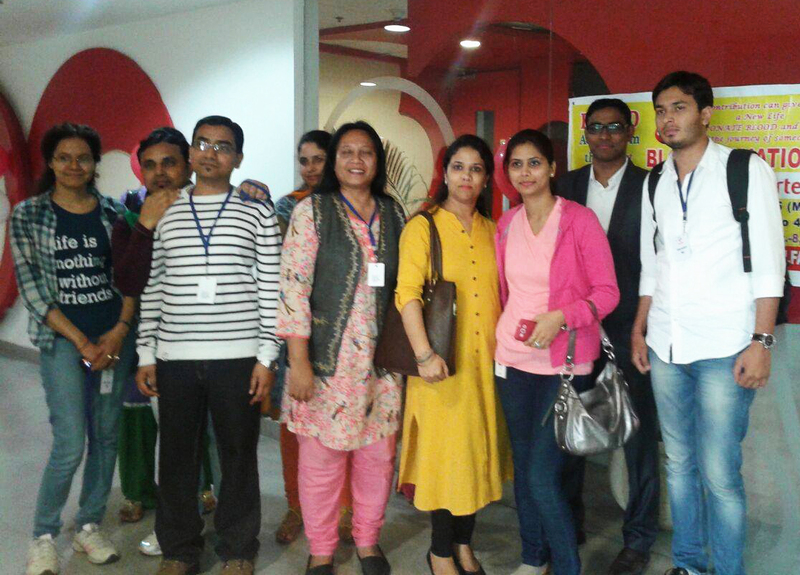 Great dedication by Kirti, Jasvir, Kuna, Shruti, Suman, Prasoon, Prakash Sahoo, Aditi, Saurabh, Shubhangi, Sidhharth, Palak. Amazing support by Jatin Sejpal – Thalassemic Society of Pune and the Gera Emerald City Society president and managers. 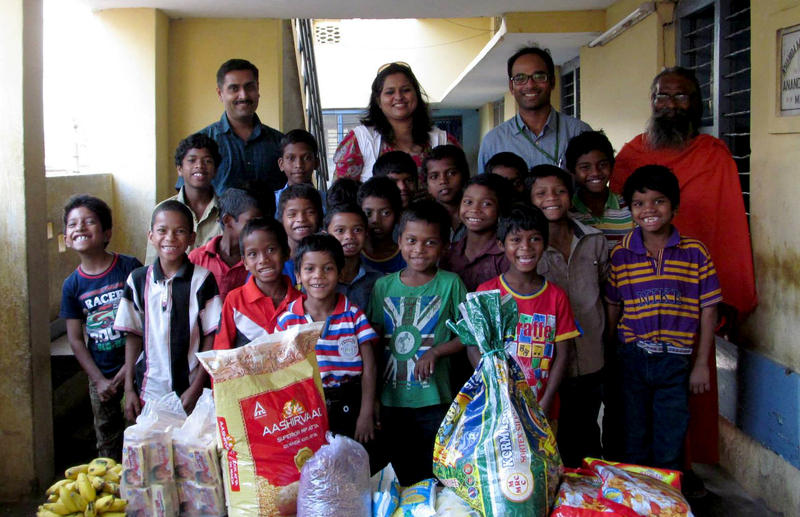 Team Ammucare donated dry rations and fresh fruits to Anand Ashram Orphange at Vishakhapatnam. 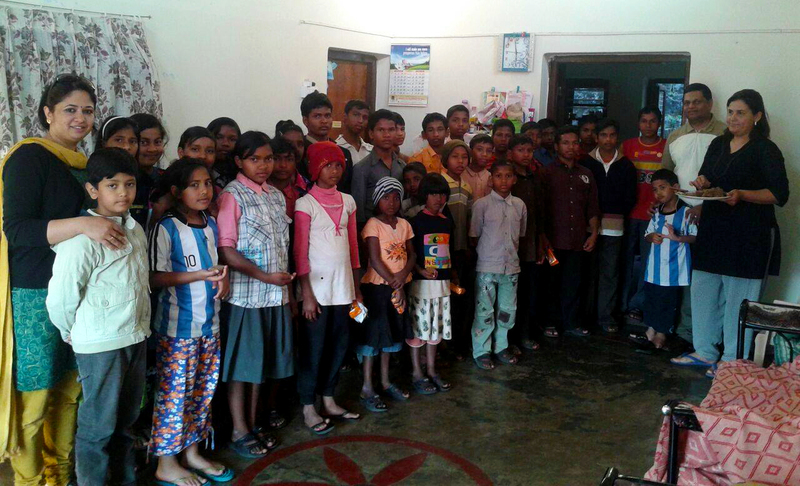 The Orphanage is a home to 30 Tribal children. 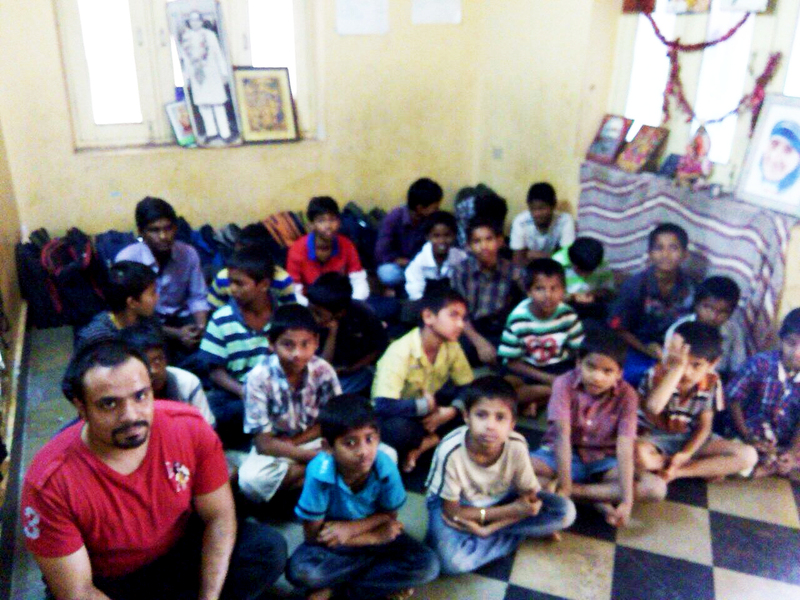 Swamiji is the care taker of this Orphange . 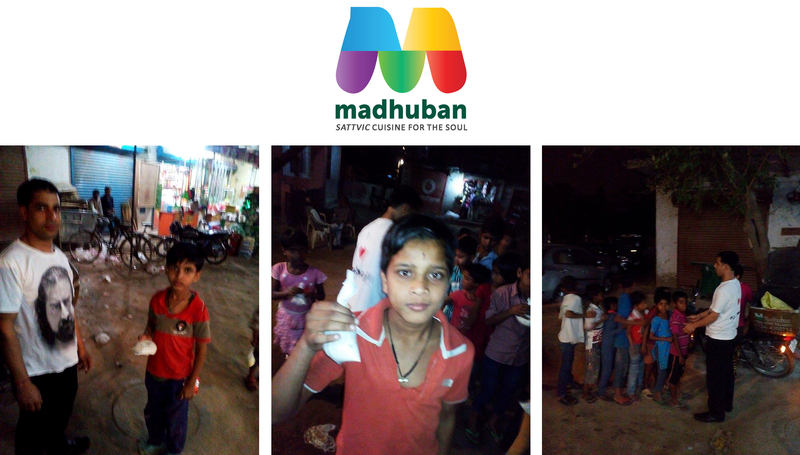 He collects ‘bhiksha’ from near by locality and feed these children. 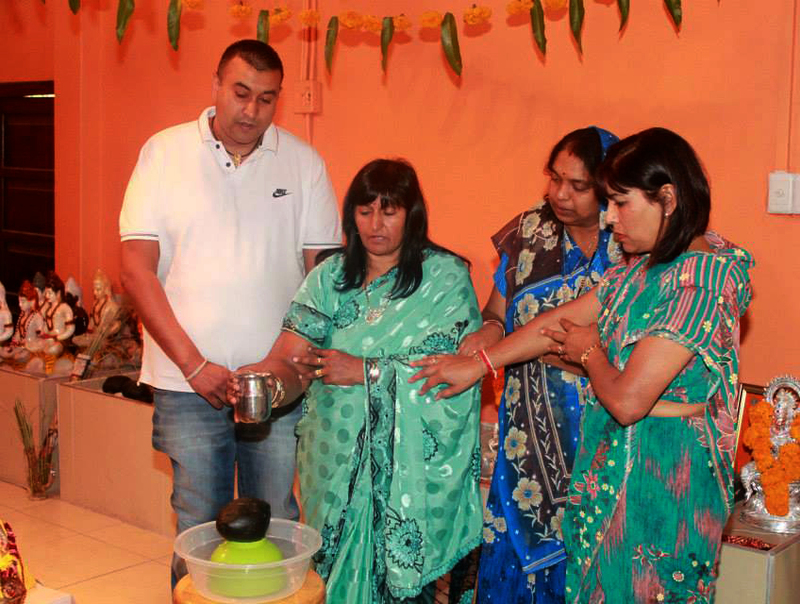 Swamiji has in-depth knowledge of Naturopathy and Ayurveda. 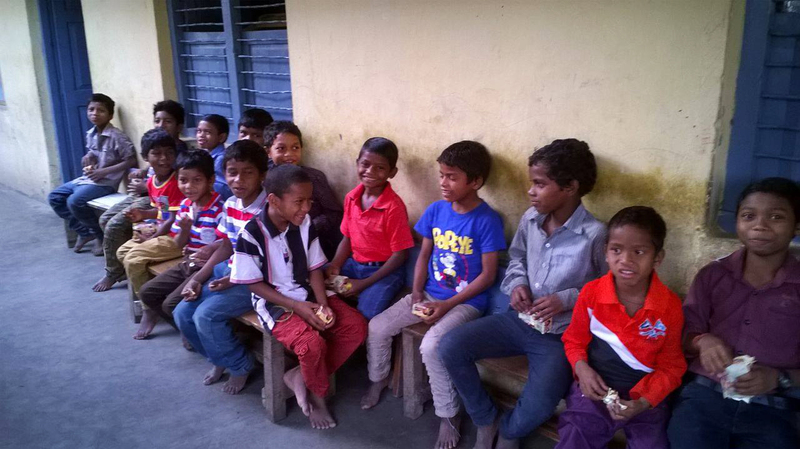 He follows a very strict regime of physical exercise for the children and prepares only veg food. He does not accept any cooked /packed food items from outside. He is very particular about the diet of these children. All children here are extremely fit and happy.Team Ammucare also helped this ashram post cyclone hudhud devastated the town of Vishakhapatnam thereby supporting them with essential commodities and making good their lost utencils, supplying medicines etc. We shall be part of this orphanage and would look after their needs in future as well. About 10 days ago, I wrote to Gurudev that I was not feeling well. I am a depression patient and am on medications for that. But I was doing fine for quite some time now. A few days ago I stopped talking to people, stopped taking phone calls, I had almost no energy even to cook. I did bare minimum of household chores and the worst part was that I used to lie down in my bed in perfect silence the whole day. Then, one day, I wrote this all to Gurudev. He read it, but He didn’t reply. I felt more depressed that He was not helping me. But since the next day, when I woke up I was fully charged. I started doing all household chores, taking phone calls, listening to bhajans, I was feeling an energy in me and felt myself so happy and pleasant all the time.This all happened due to the grace of my loving Gurudev. He didn’t say anything but he did it. There was no change in my medication and all of a sudden in one day my depression was gone. Everyone in my family is happy and thankful for Gurudev’s grace. Gurudev, I can never thank You enough for Your grace on me. Thank you thank you! Jai ho Gurudev, aapki sada hi jai ho! Shrastang pranams at your lotus feet!!! 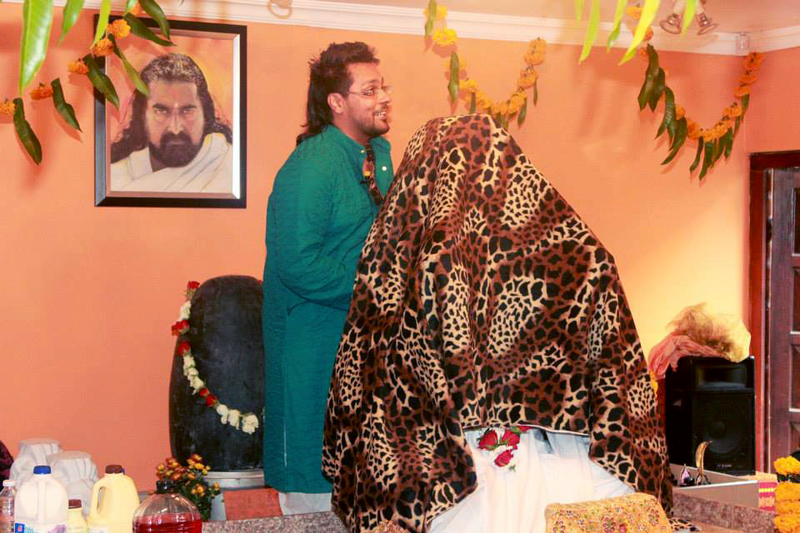 … Pranam Gurudev, This happened to me on 26th February. In the morning as I was going to open my Fb account a thought came across my mind. 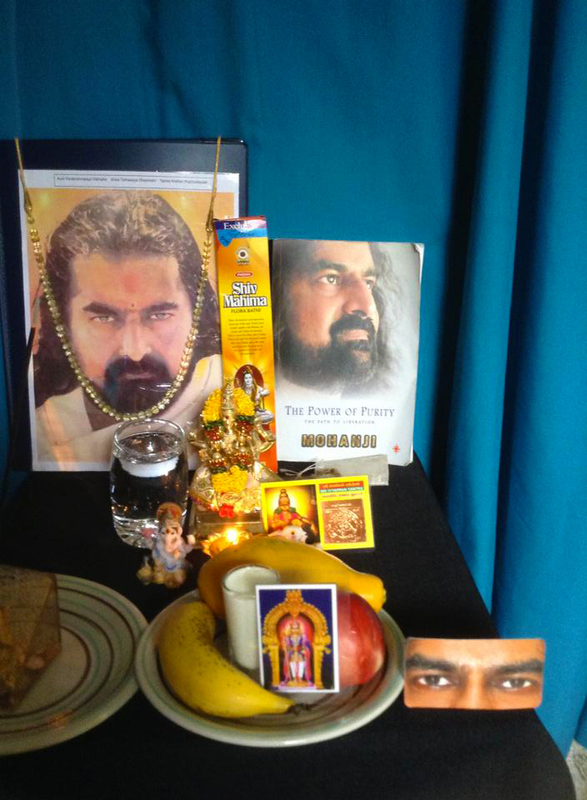 I had a strong desire to see Gurudev’s beautiful picture on fb. As soon as I offered food to Gurudev, I felt His presence, I felt His blessings, He immediately connected to me and showered His grace. I felt extremely happy and thought in mind that He must have read my message and that’s how He is responding to me and telling me that He is always with me. When I came back, I saw that He had not read my message at all. I was surprised that WITHOUT READING MY MESSAGE HE KNEW WHAT I HAD WRITTEN TO HIM. Without even opening my message HE KNEW THAT I HAD WRITTEN THIS TO HIM THAT DAY AND HE BLESSED ME WITH HIS GRACE WITHOUT USING WORDS!!!!!! He is omnipresent, He does not need our written messages to communicate to Him. HE IS ALWAYS LISTENING, ALWAYS WITH US, BLESSING US WITH HIS GRACE!! All Gurudev’s devotees are indeed very fortunate. Like Baba used to give experiences of His omnipresence to His devotees and still gives them today, the same experiences we are getting from Gurudev!!! 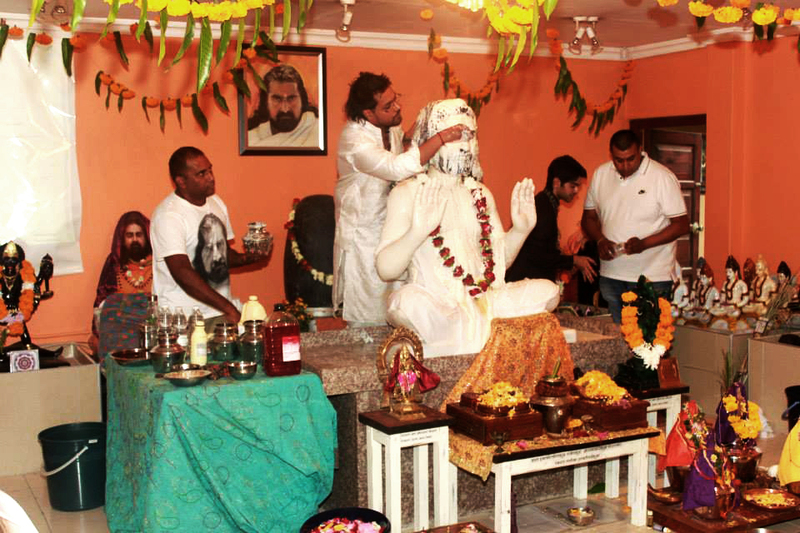 Thank You, Thank You Gurudev for blessing all of us beyond measure…!! Shrastang pranams at Your lotus feet. There is no difference between them. Gurudev Himself told me once, you pray to Baba , it will reach Gurudev or you pray to Gurudev,it will reach Baba.Jai ho aapke sada hi jai ho…countless unlimited THANKS FOR YOUR GRACE!!! !